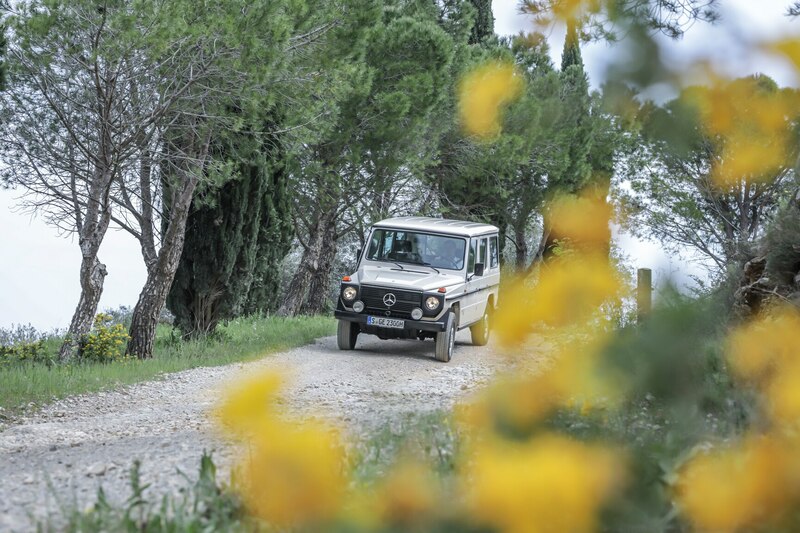 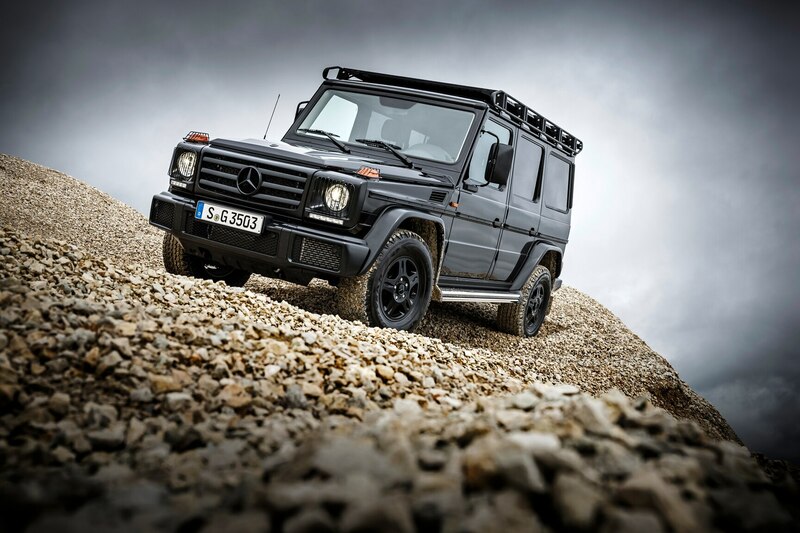 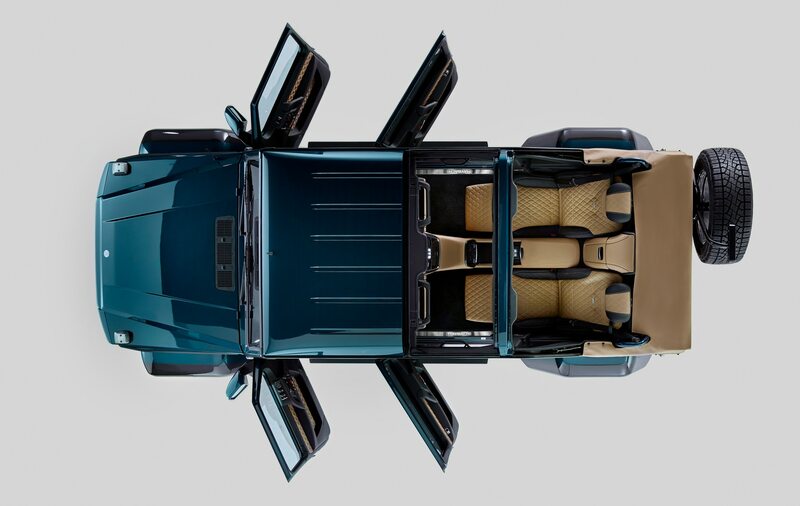 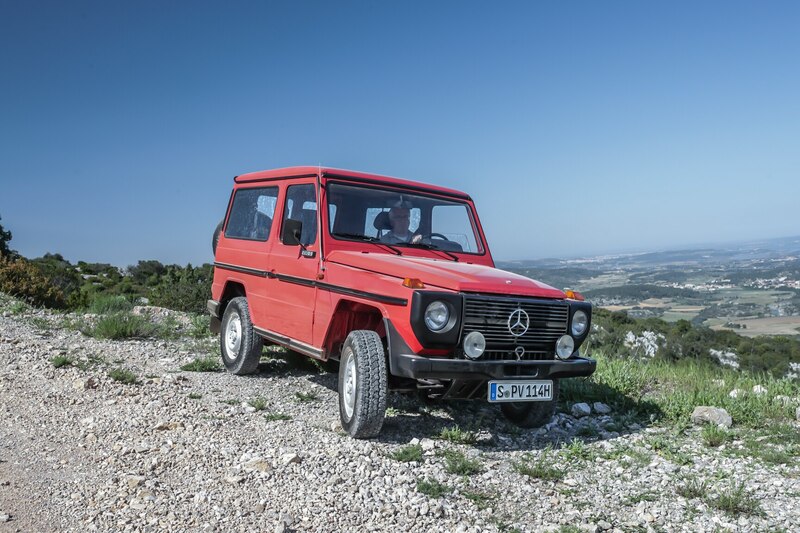 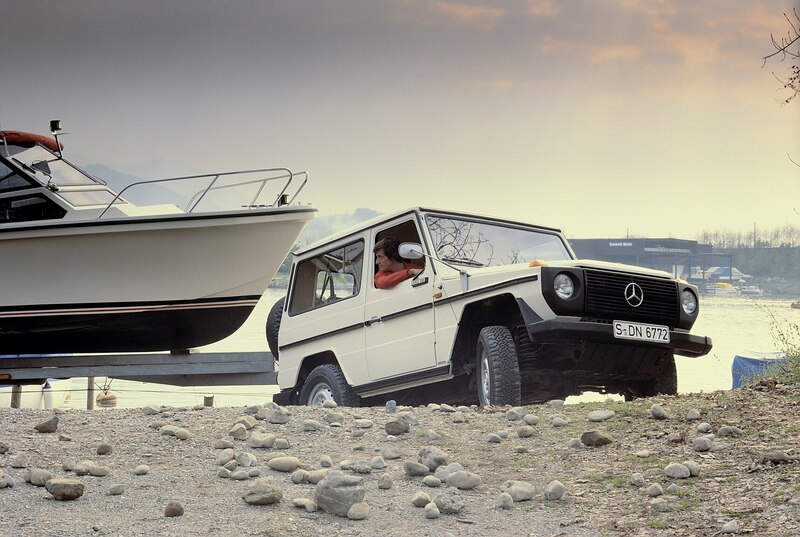 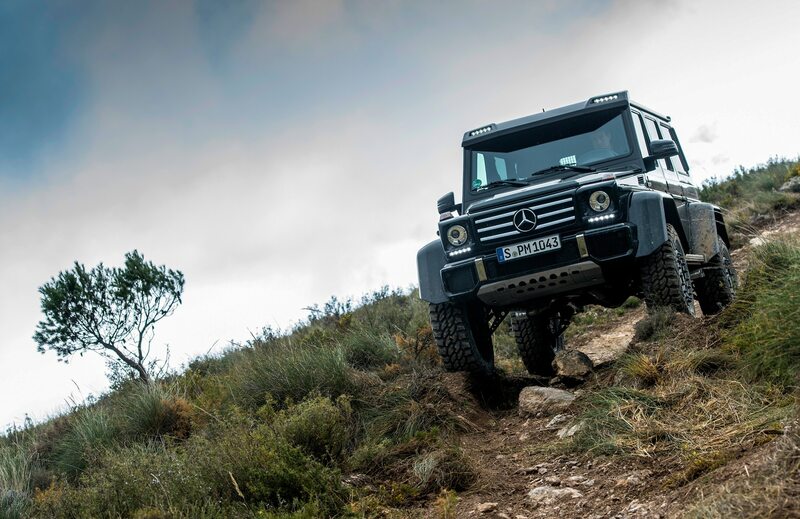 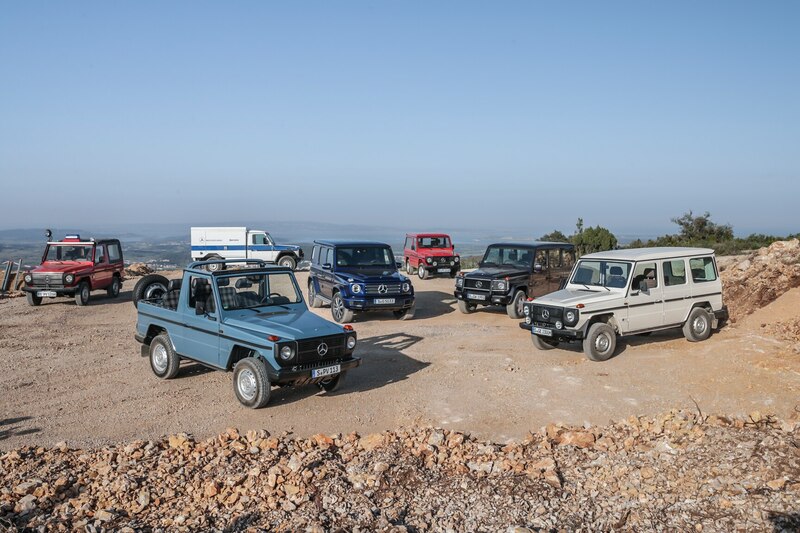 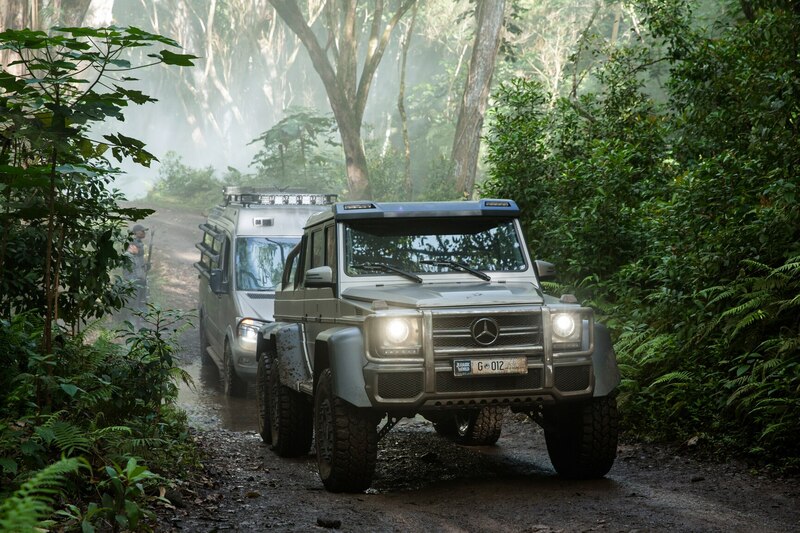 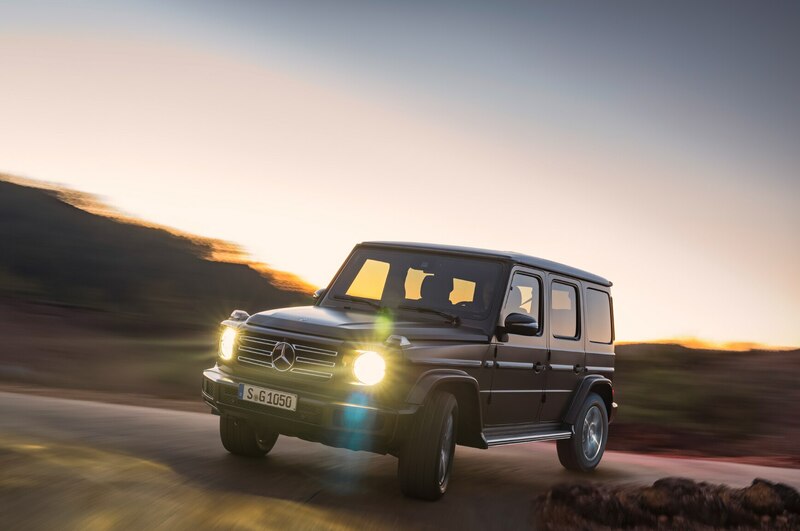 Roughly a year after the debut of the all-new and modernized second-generation version, Mercedes-Benz is celebrating 40 years of the legendary G-class. 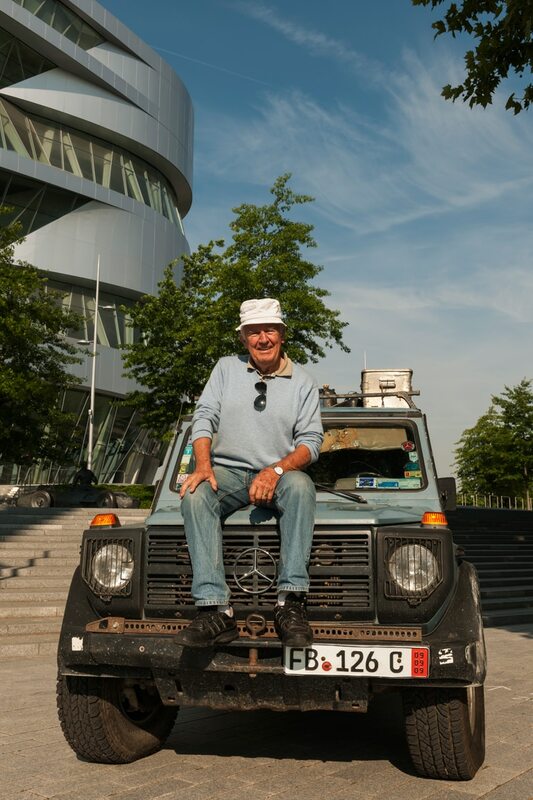 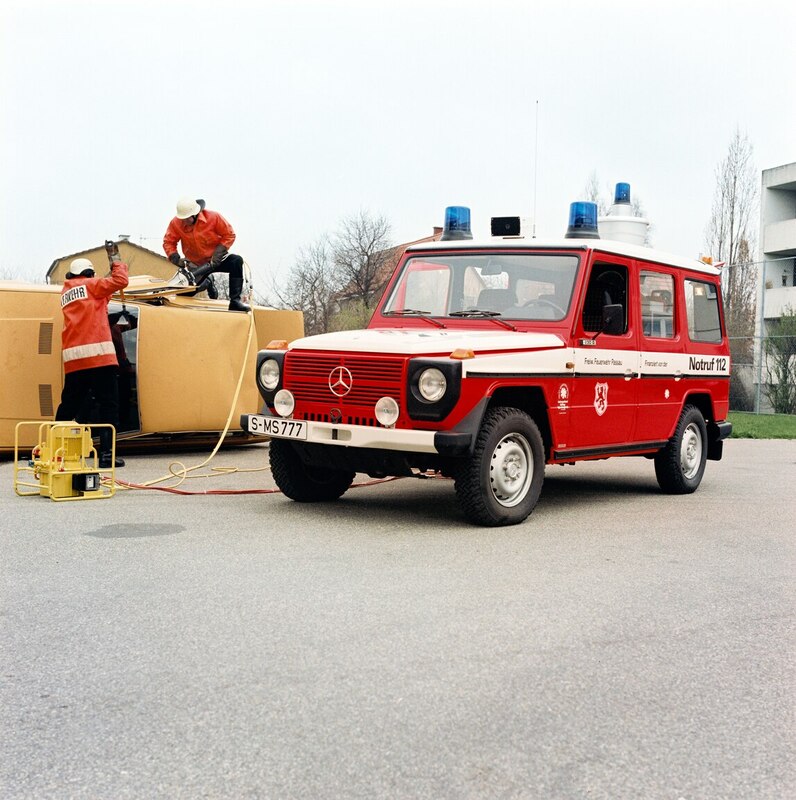 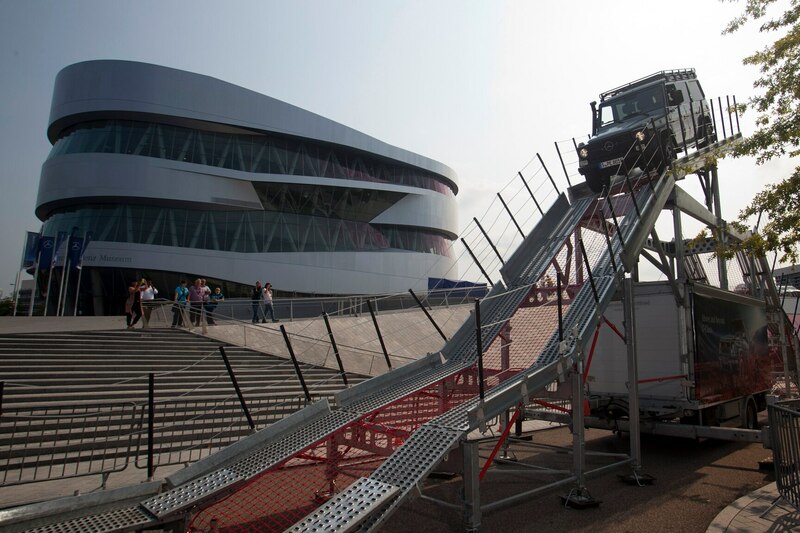 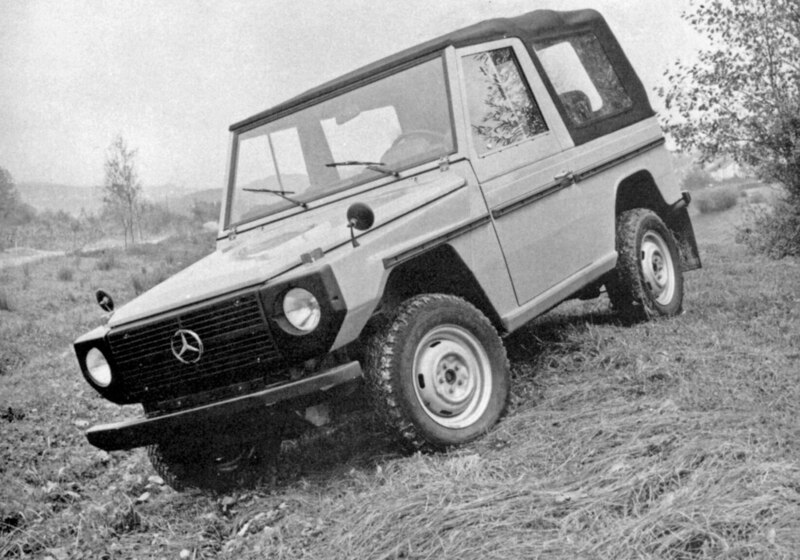 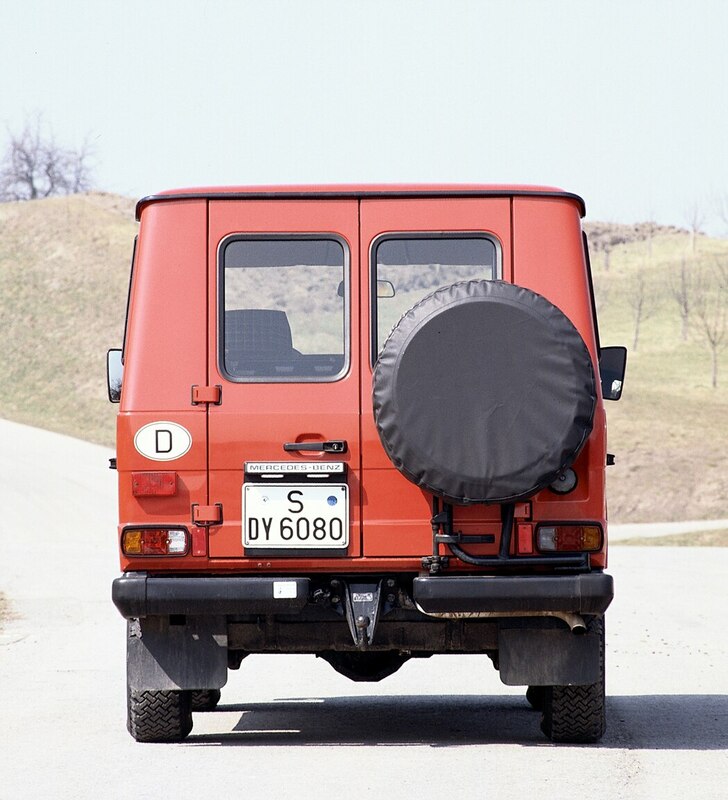 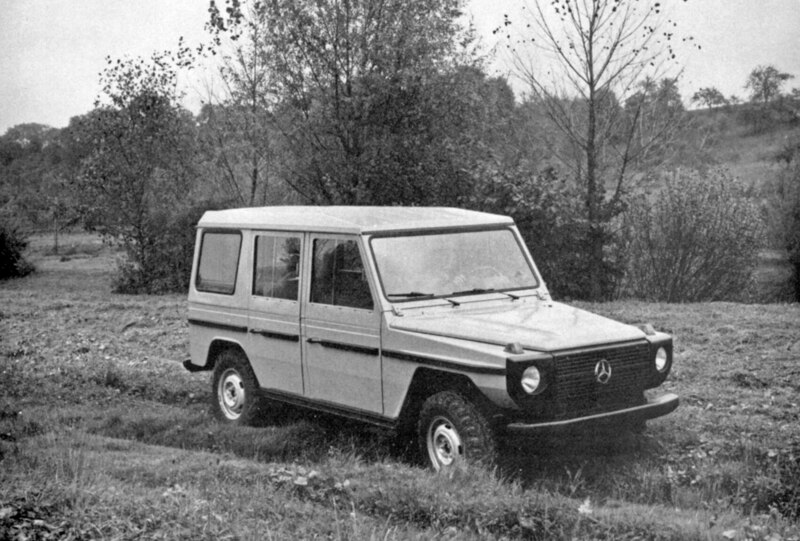 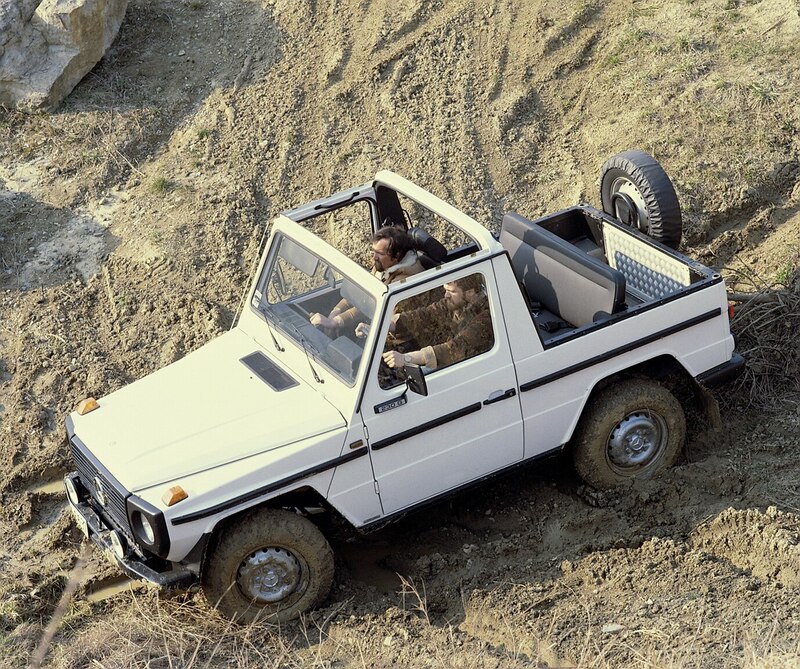 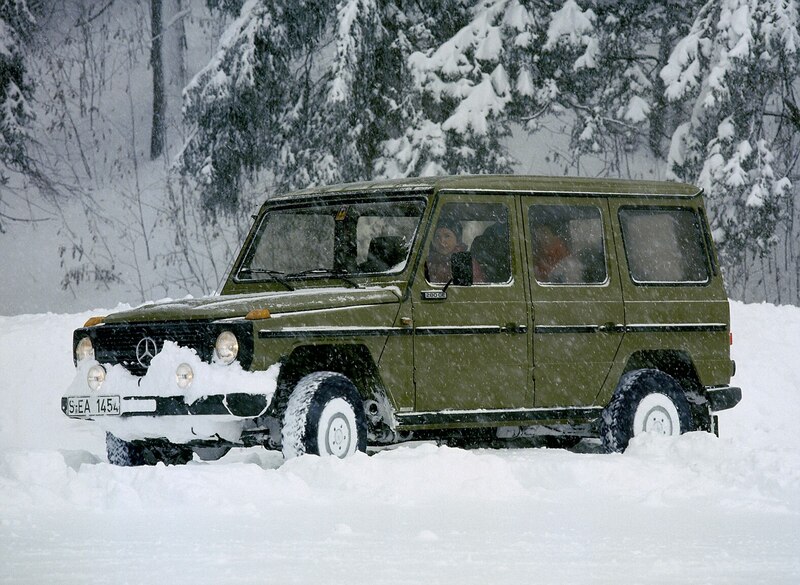 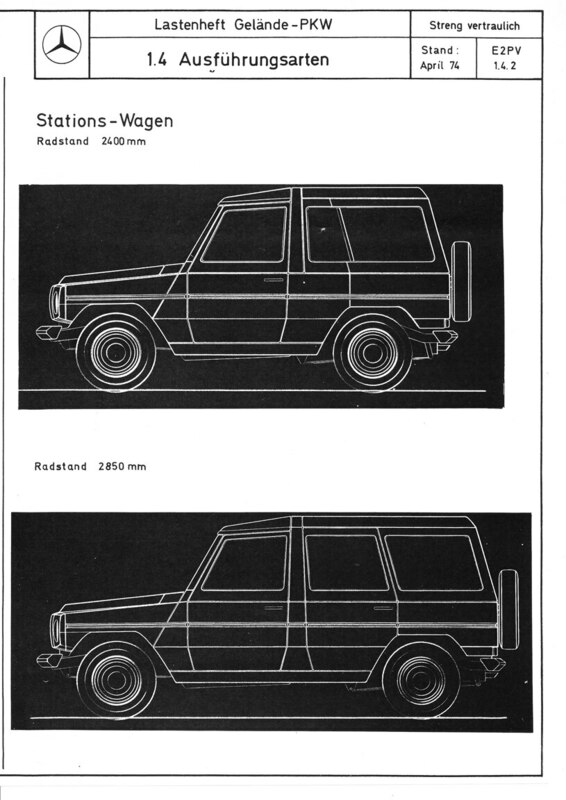 The boxy Geländewagen has been built mostly by hand by Magna Steyr in Graz, Austria, since its official launch in 1979. 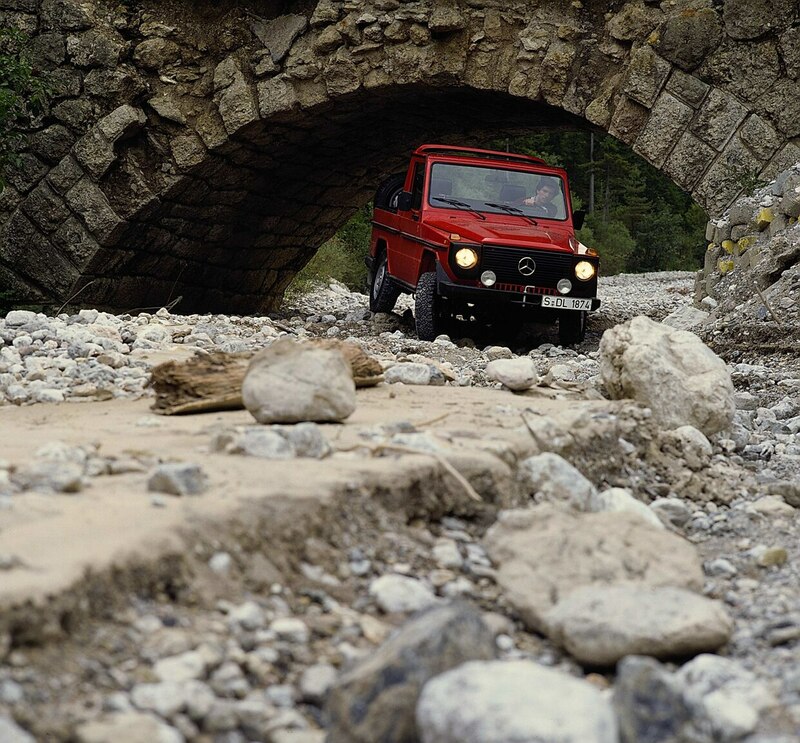 The extreme off-roader is at home on the world’s most difficult trails, although it is more than likely to be seen climbing the steepest of parking-garage ramps here in the U.S. It’s built like a tank and the previous generation G-class drove like one as well. 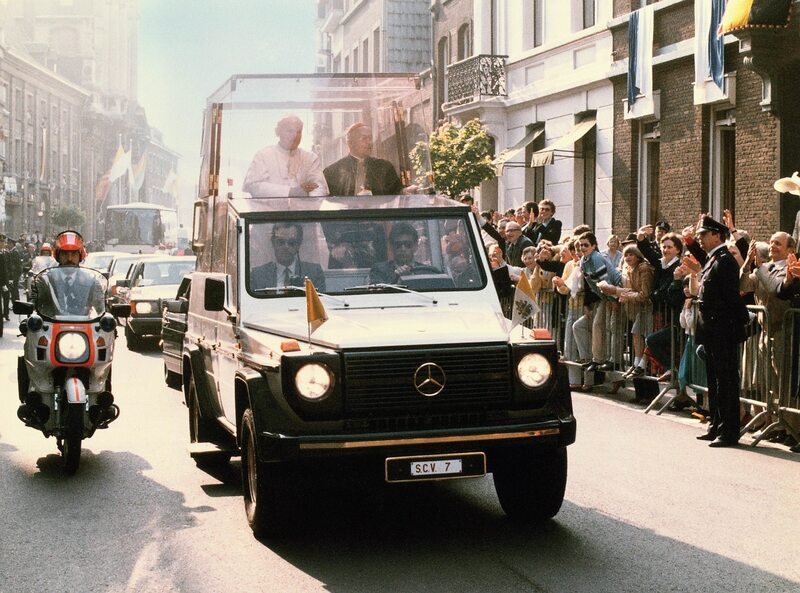 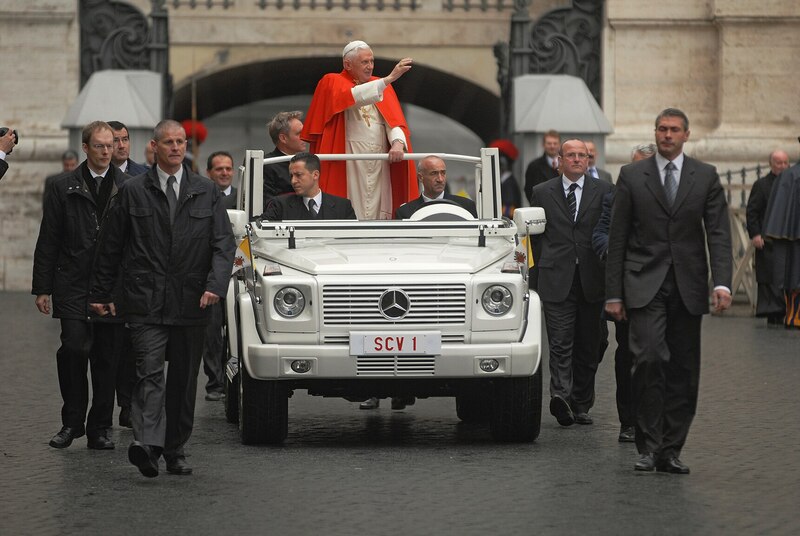 It’s popular with power brokers, professional athletes, celebrities, and even a few Popes—the first Popemobile built in 1980 for Pope John Paul II was based on the G and featured a Plexiglas dome over the rear compartment, while later versions included bulletproof glass. 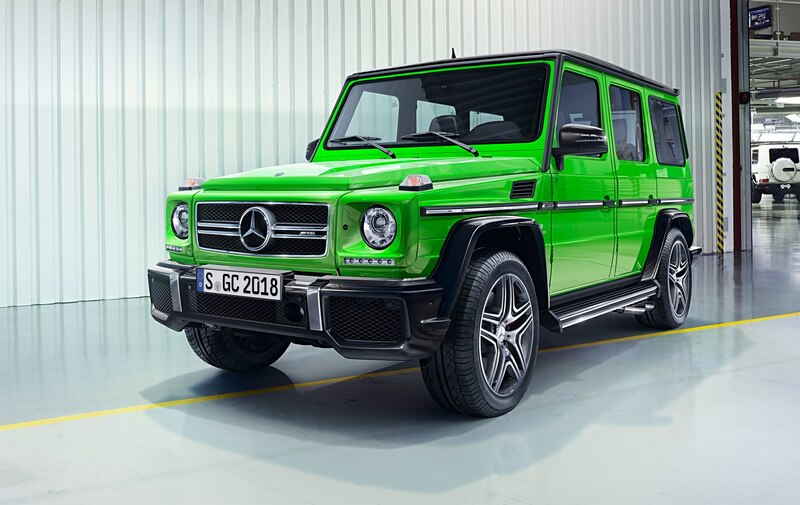 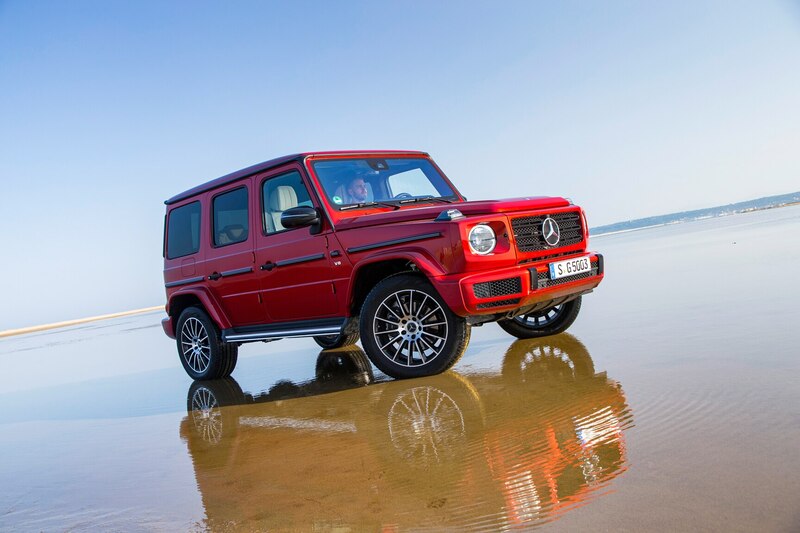 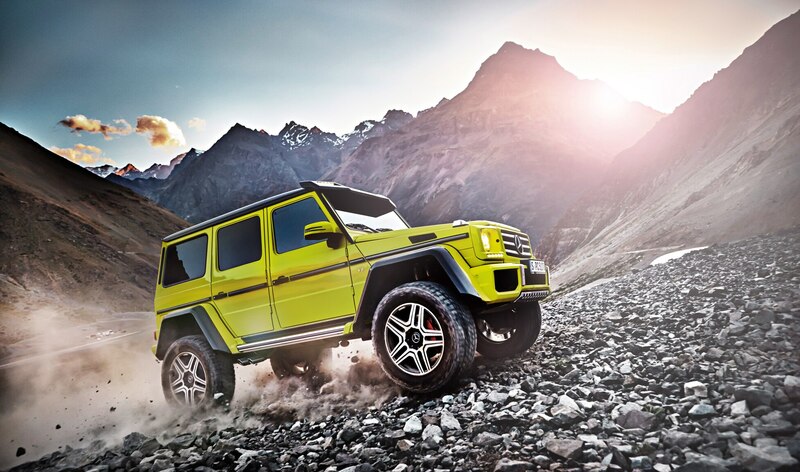 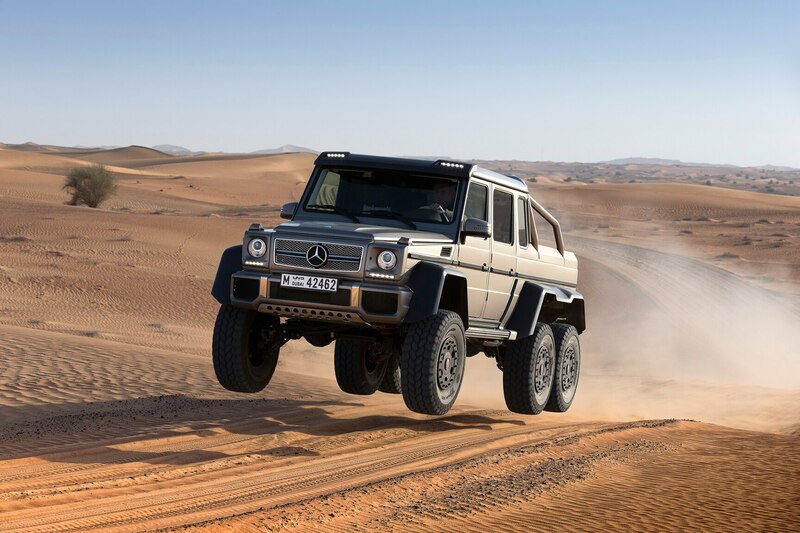 More recent and extra-ridiculous versions of the G include the G63 AMG 6×6, the G550 4×4 Squared, and the Mercedes-Maybach G650 Laudaulet. 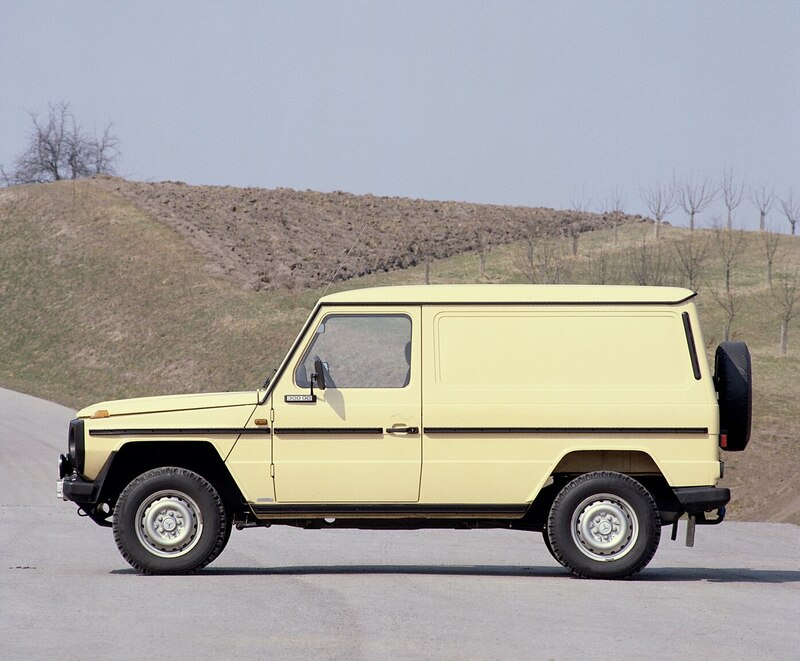 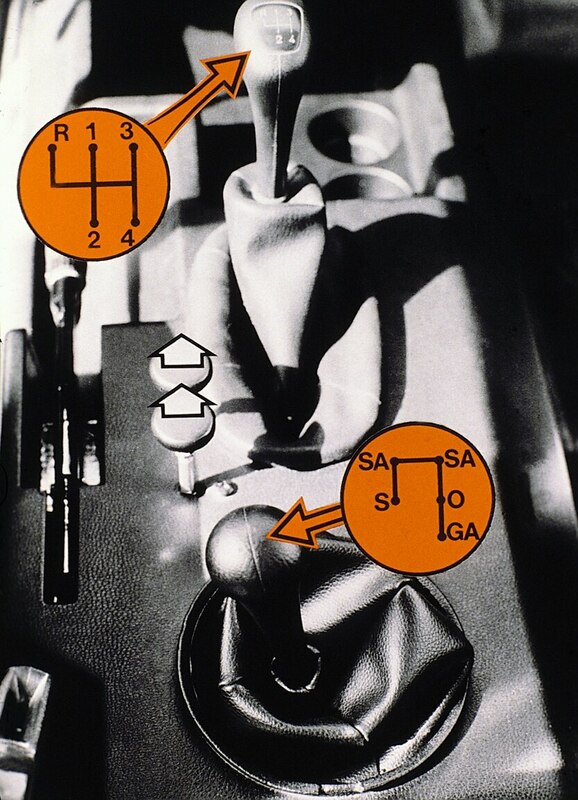 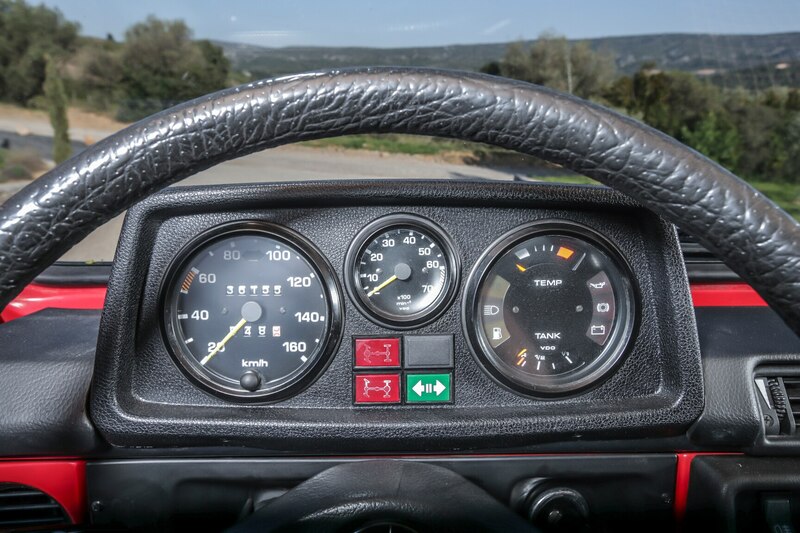 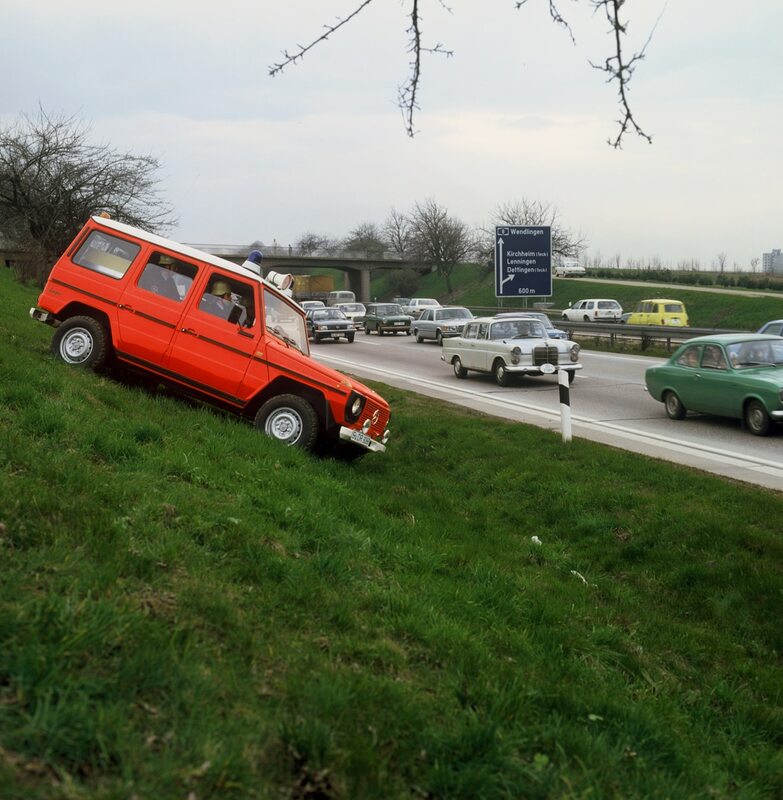 The G was initially designed as a military vehicle and thus featured a modest interior (Recaro seat upgrades didn’t start until the early ’80s), and it was available to civilians as a convertible, with a fixed roof, and as a sort of panel van. 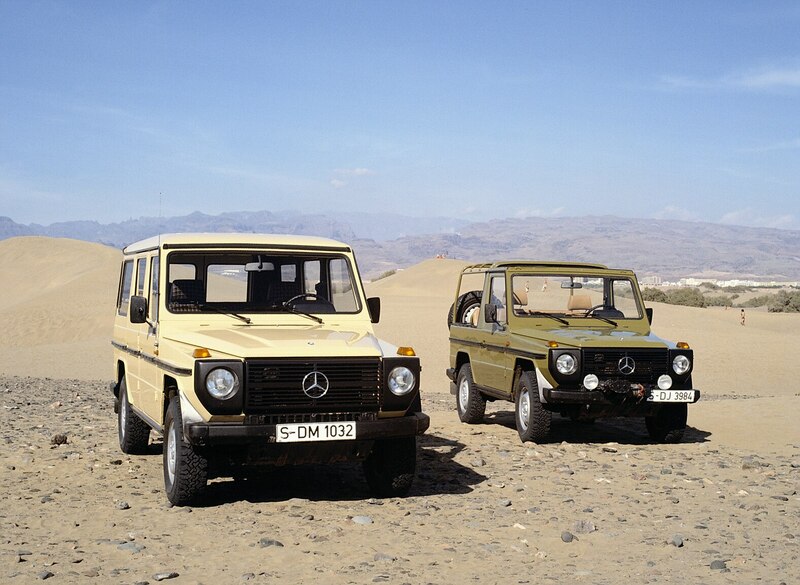 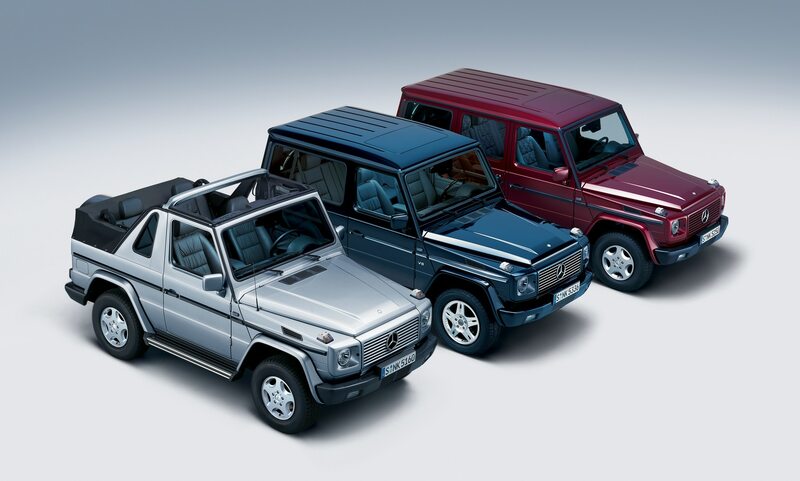 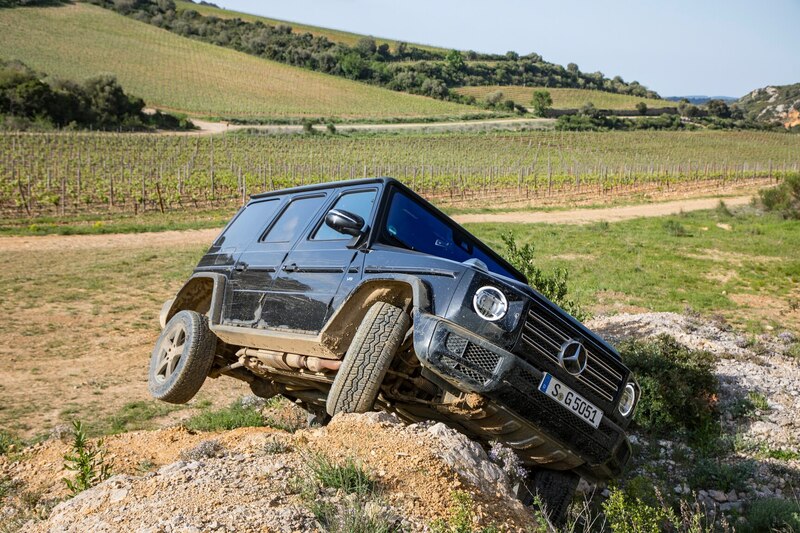 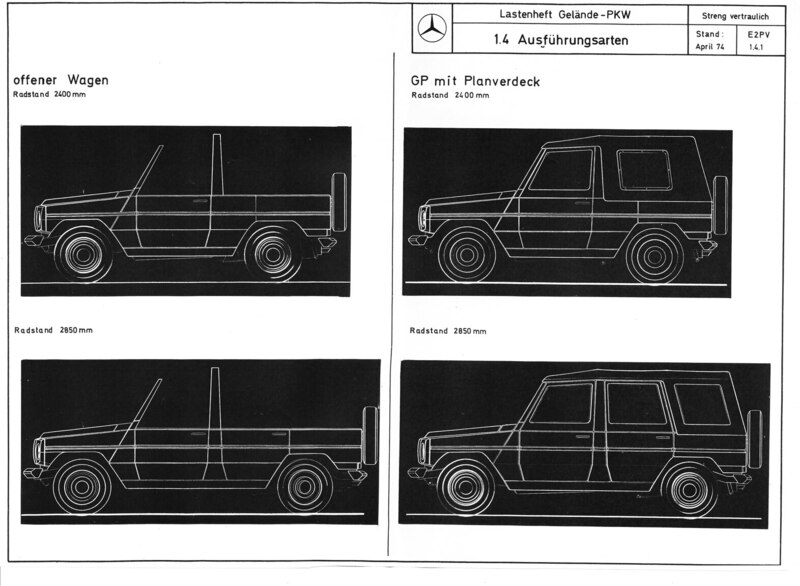 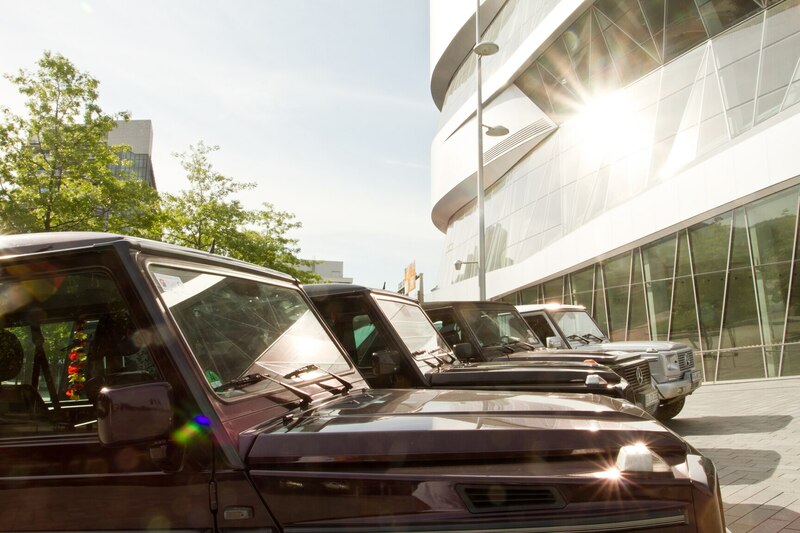 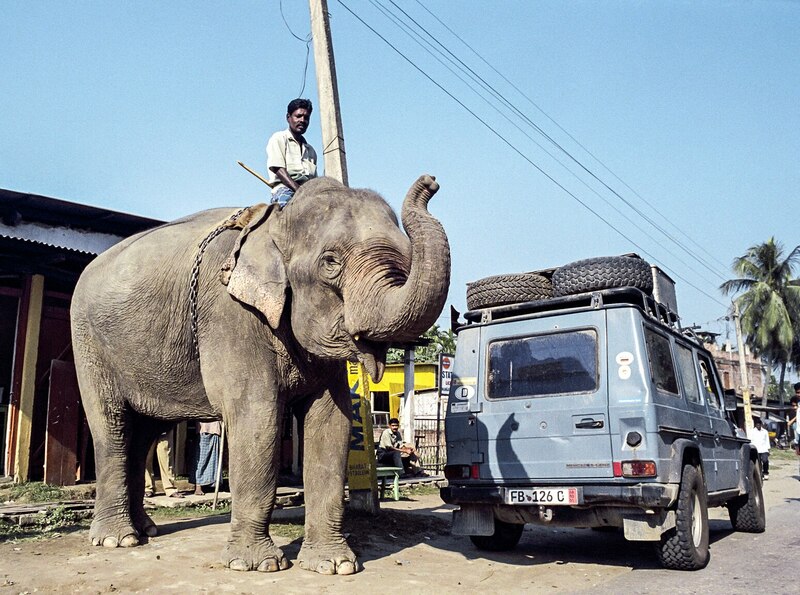 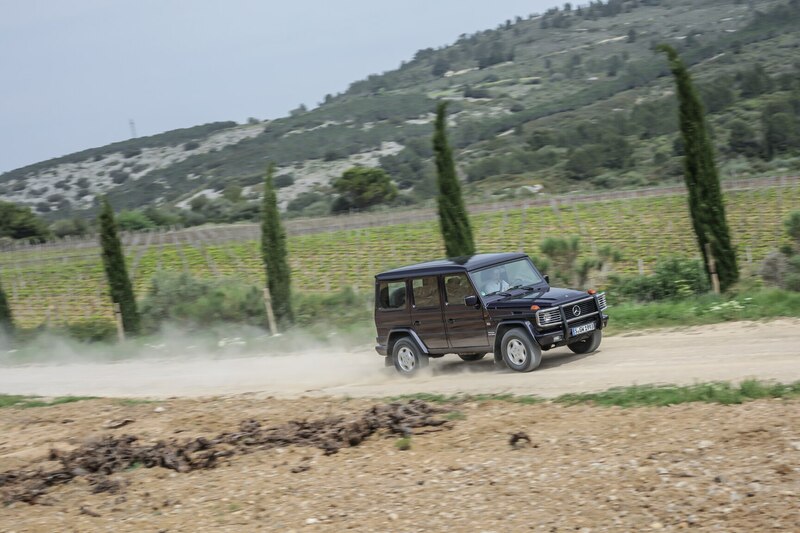 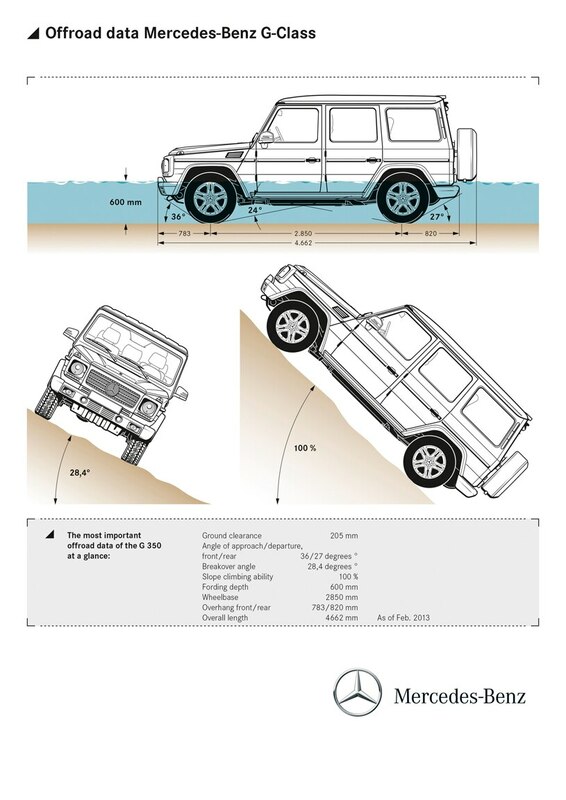 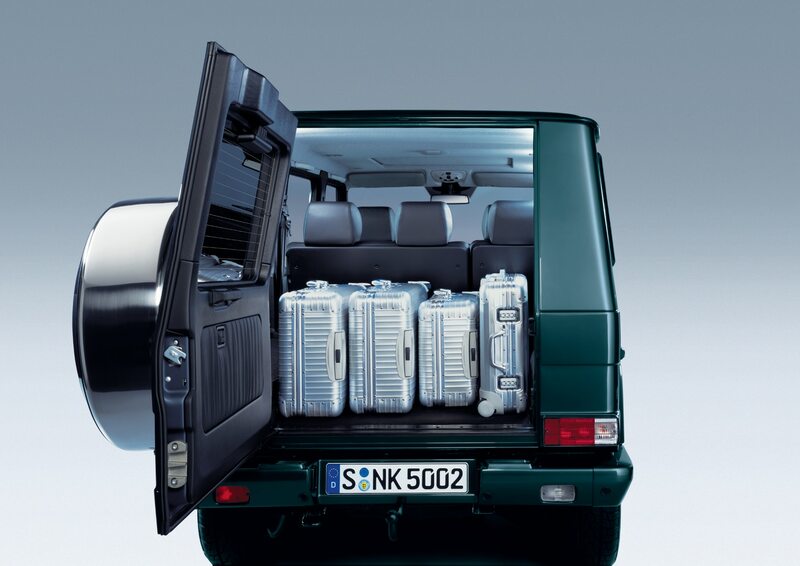 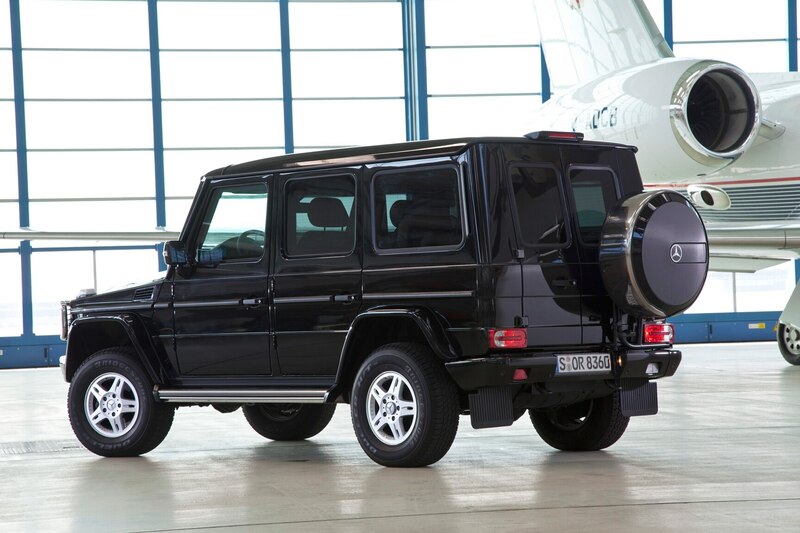 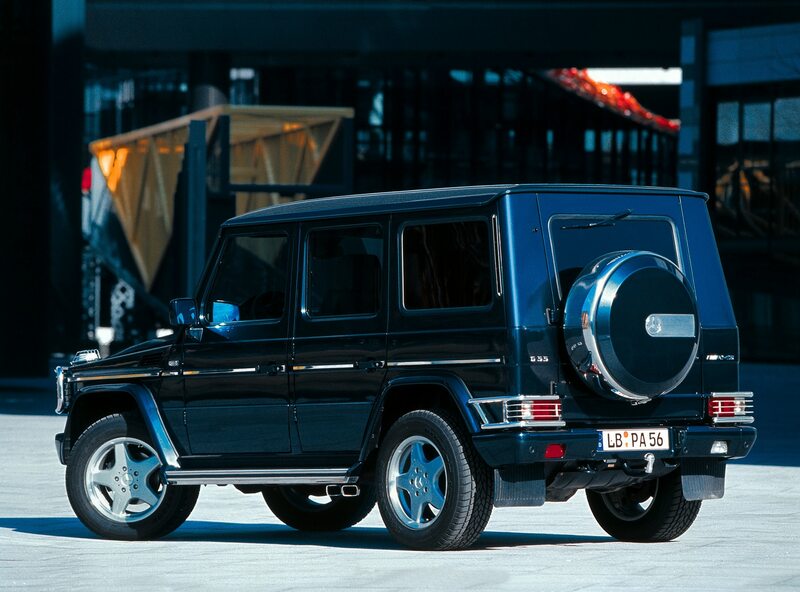 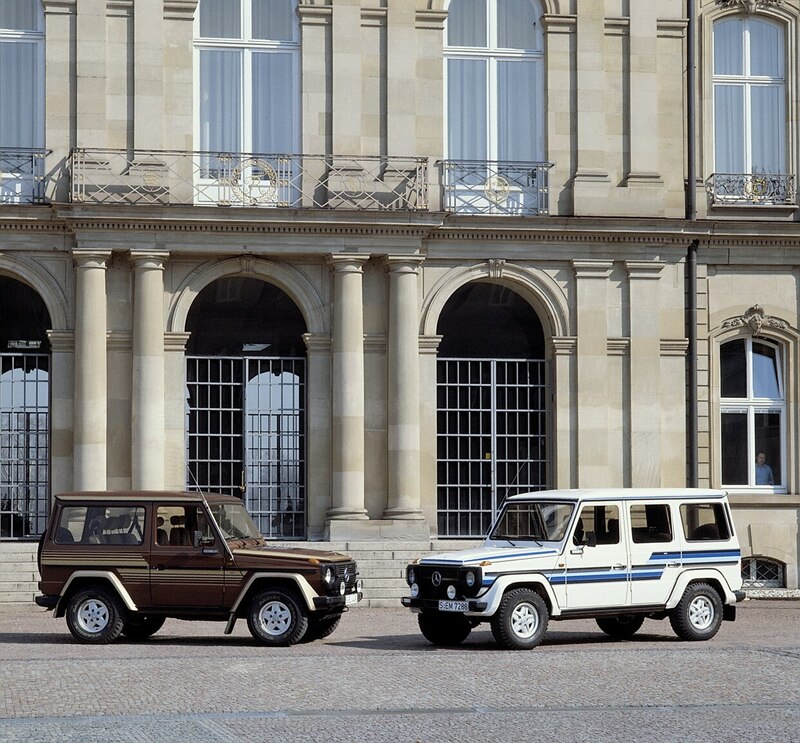 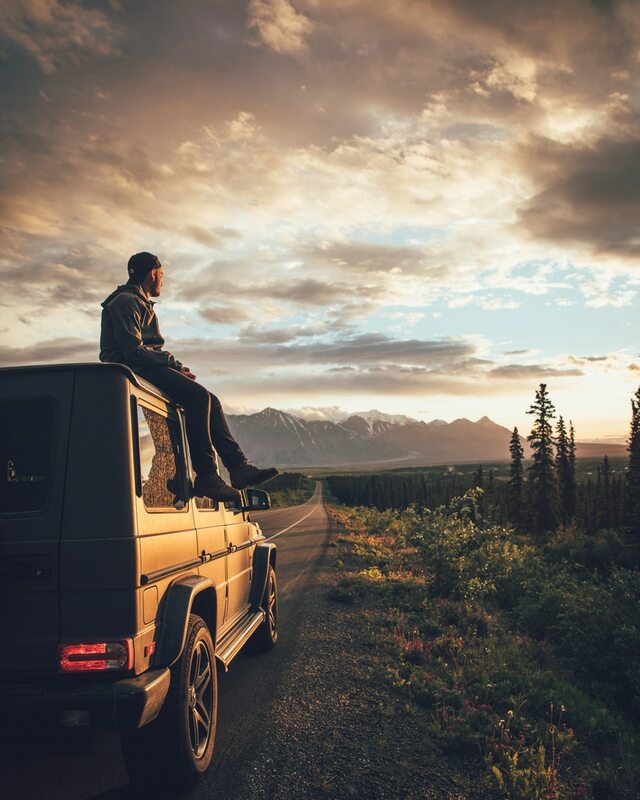 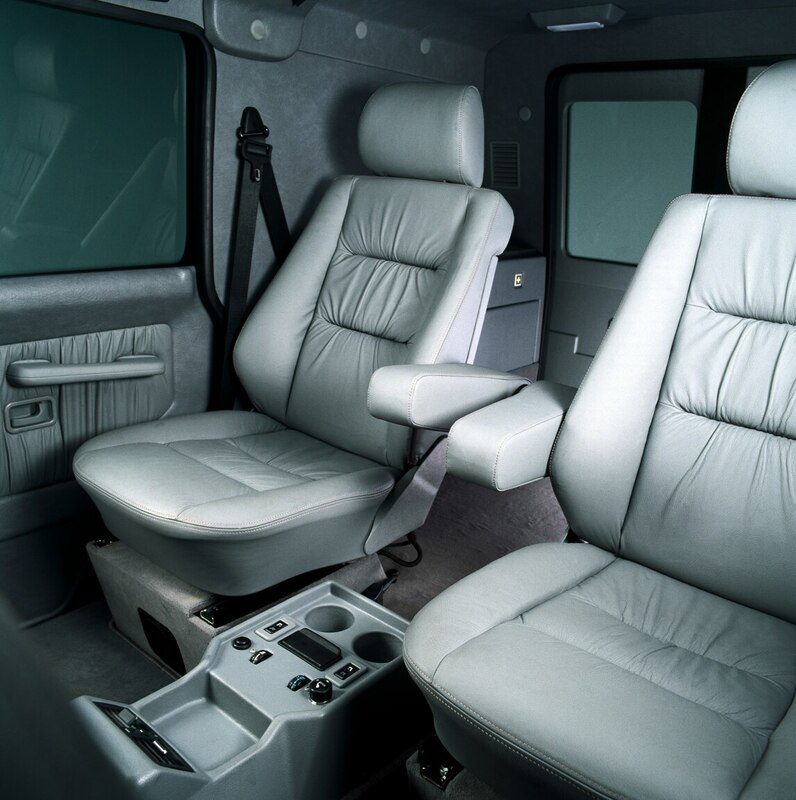 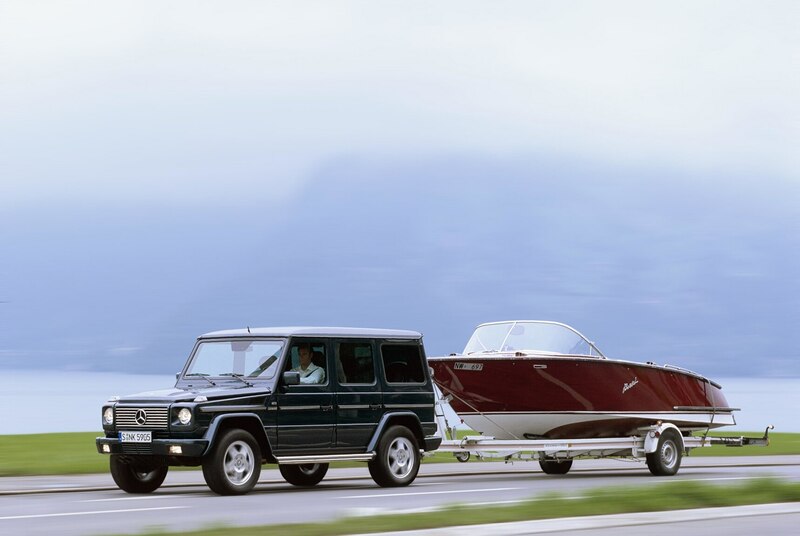 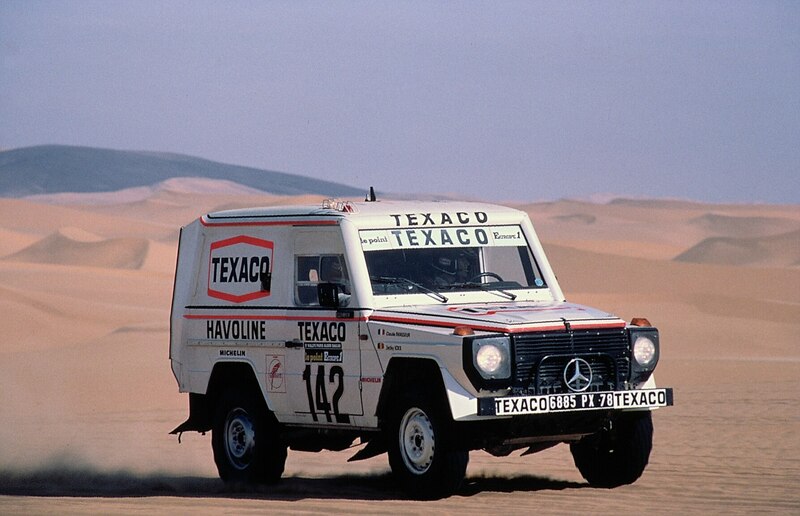 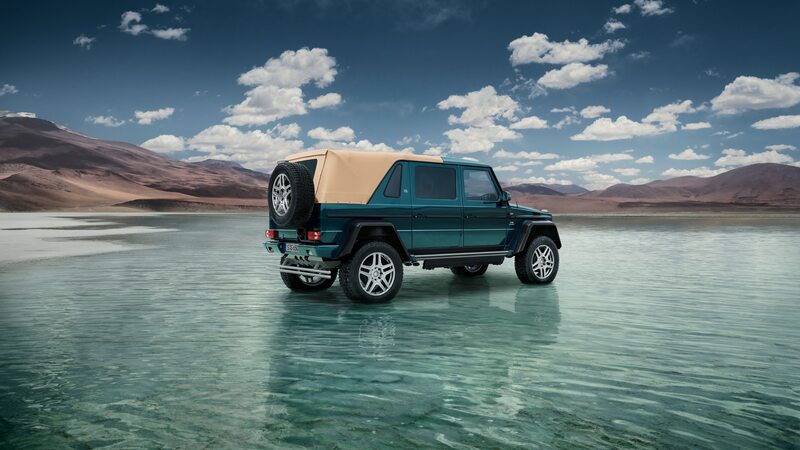 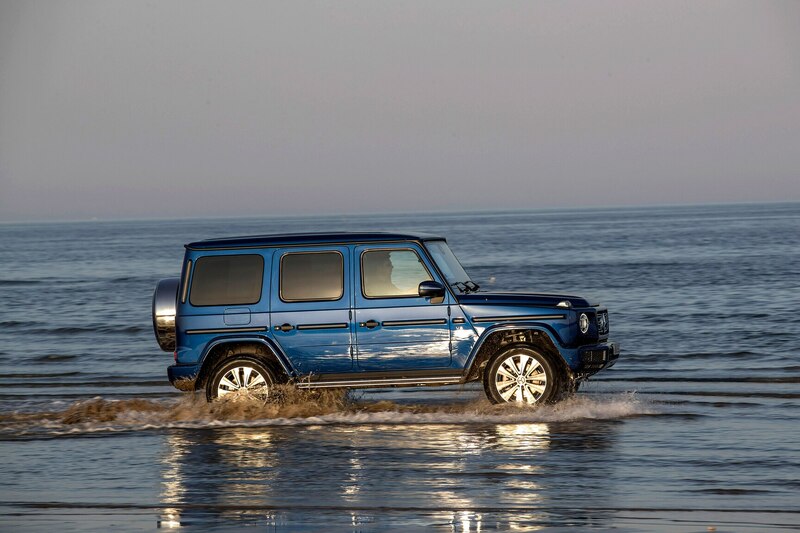 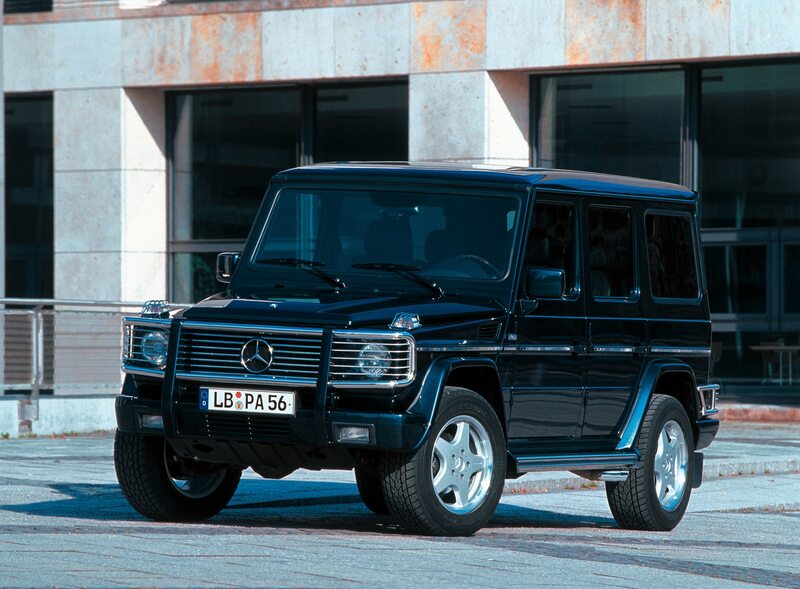 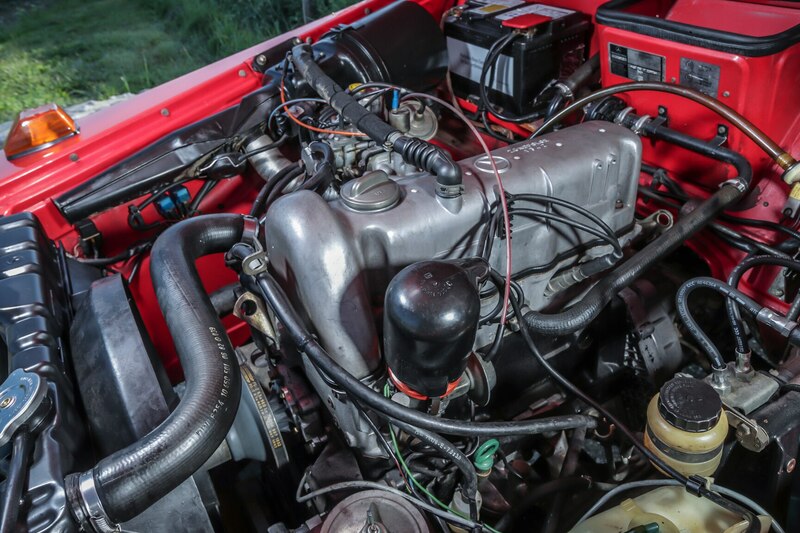 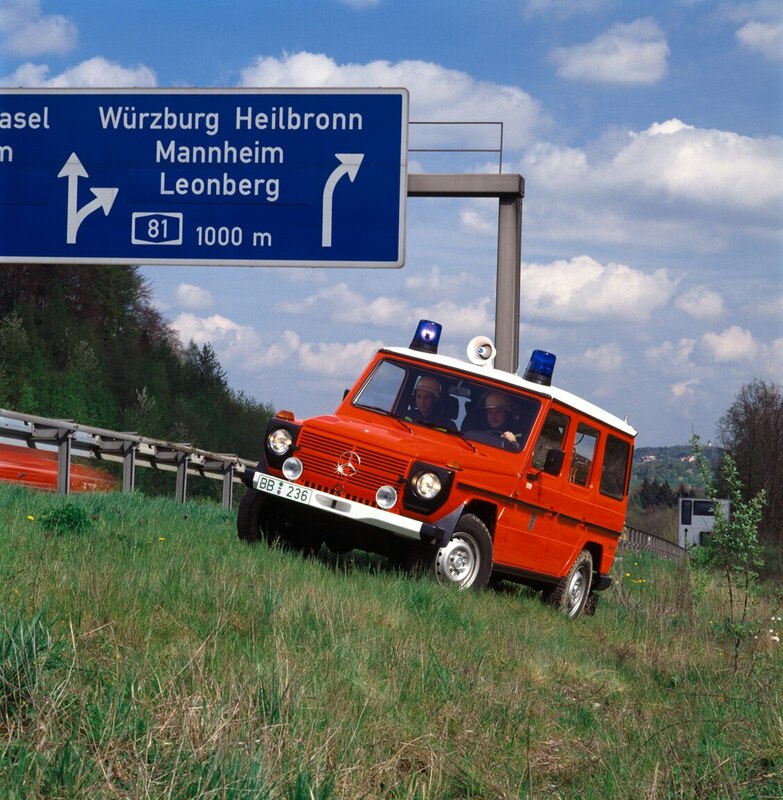 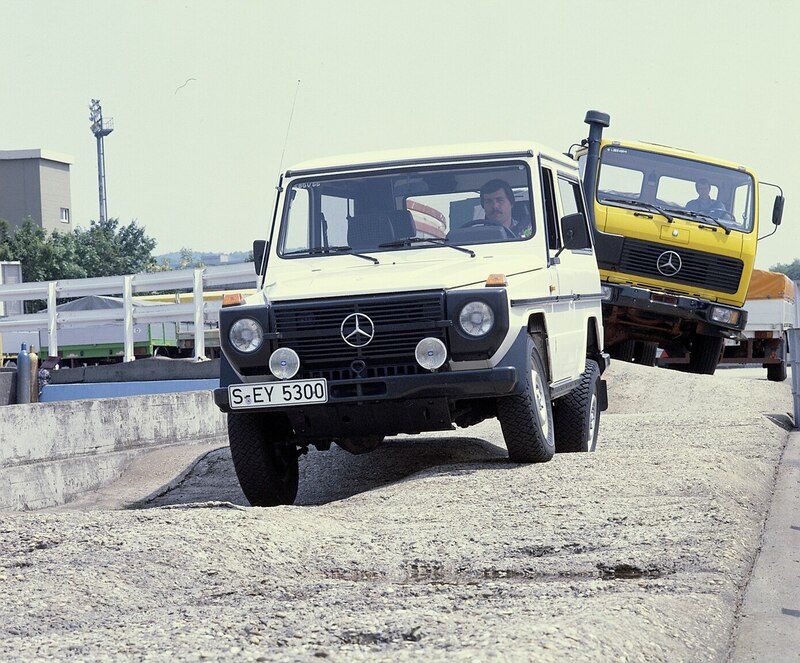 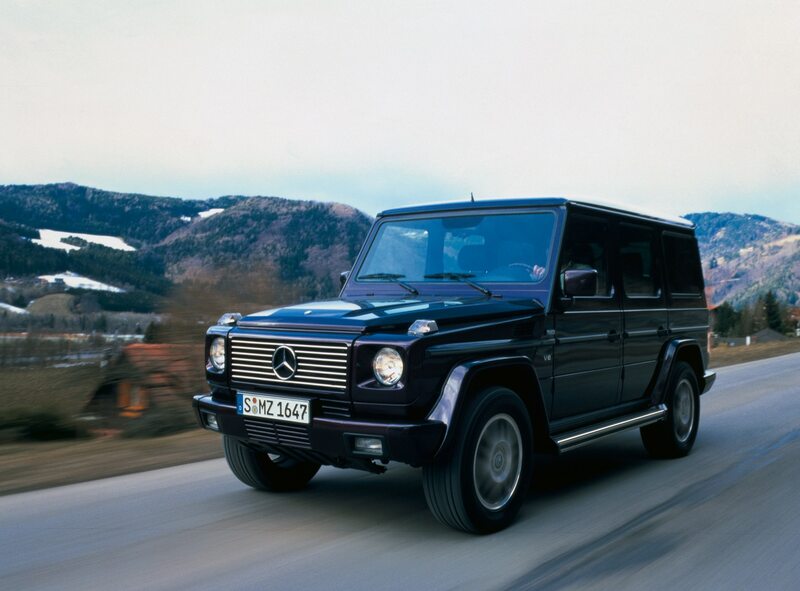 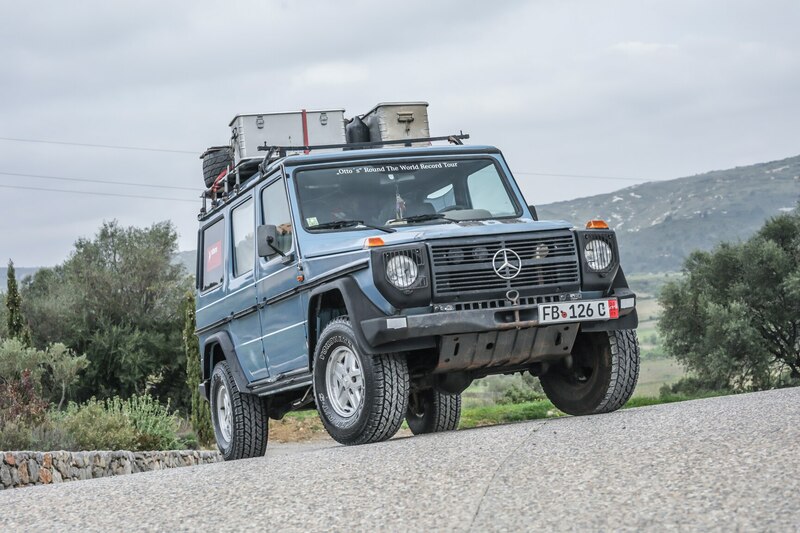 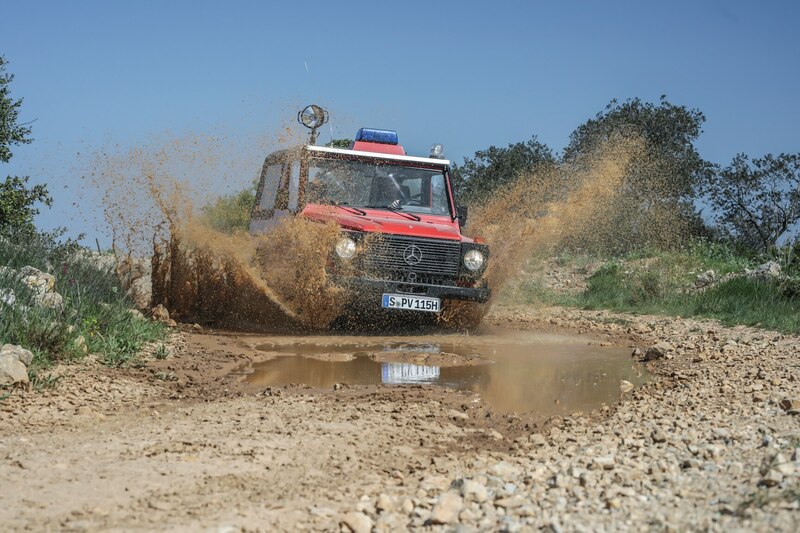 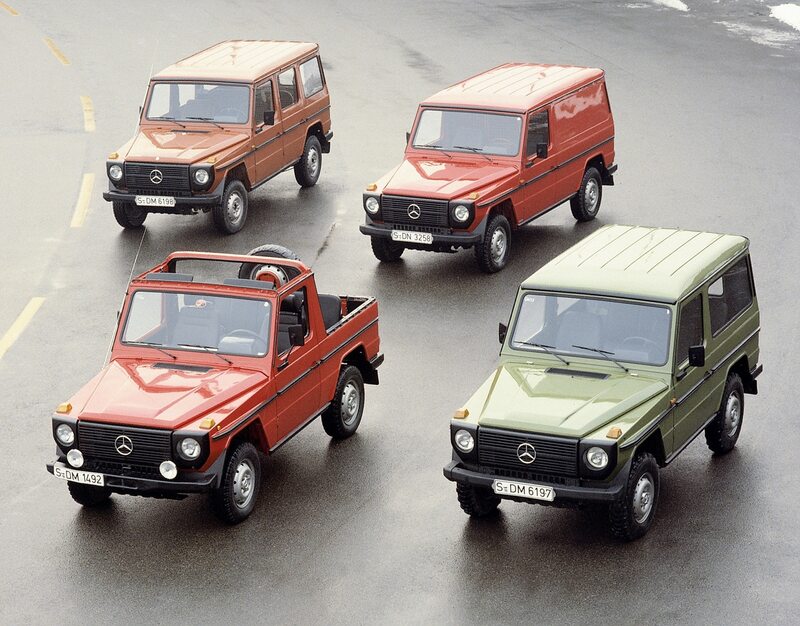 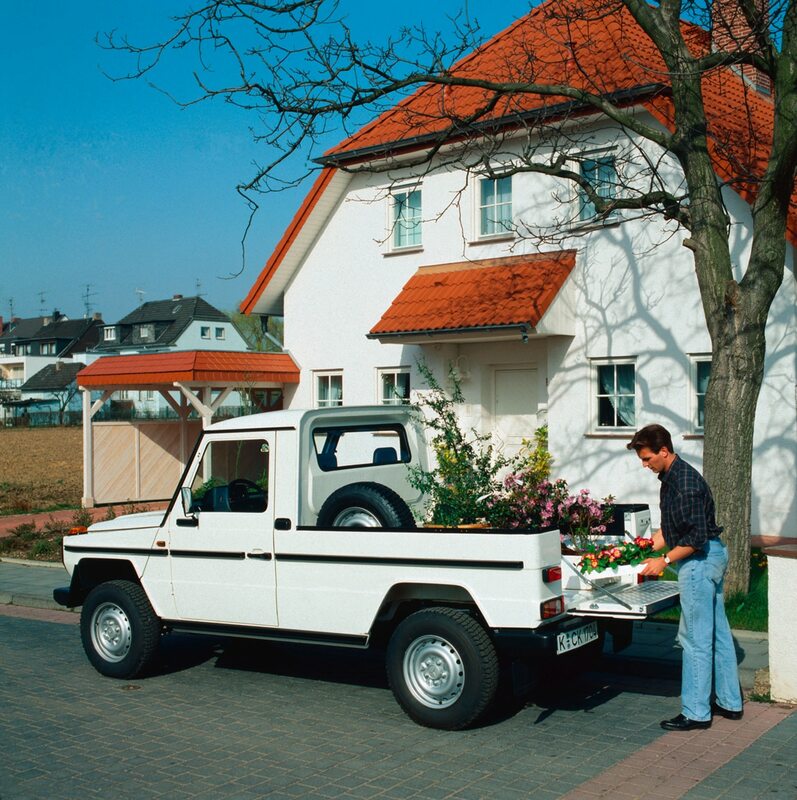 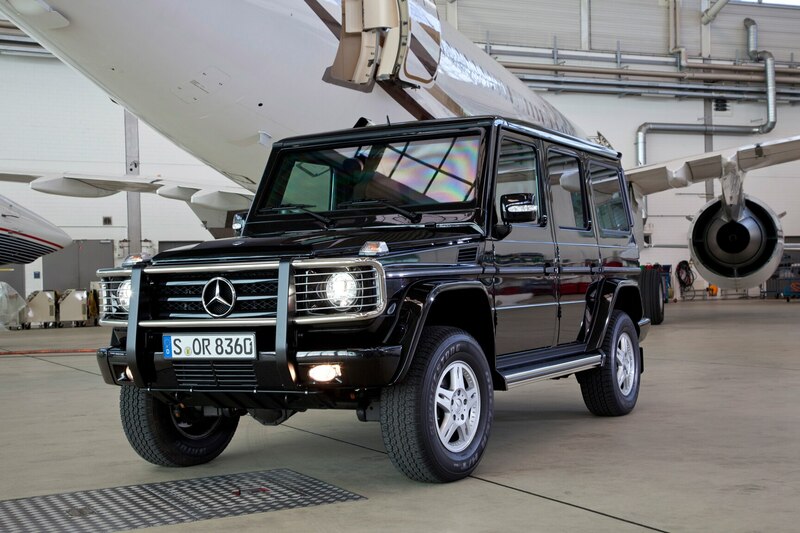 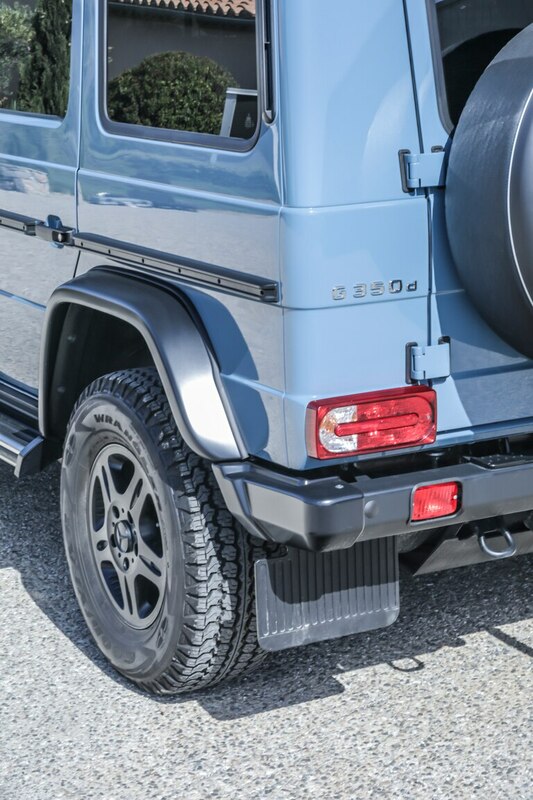 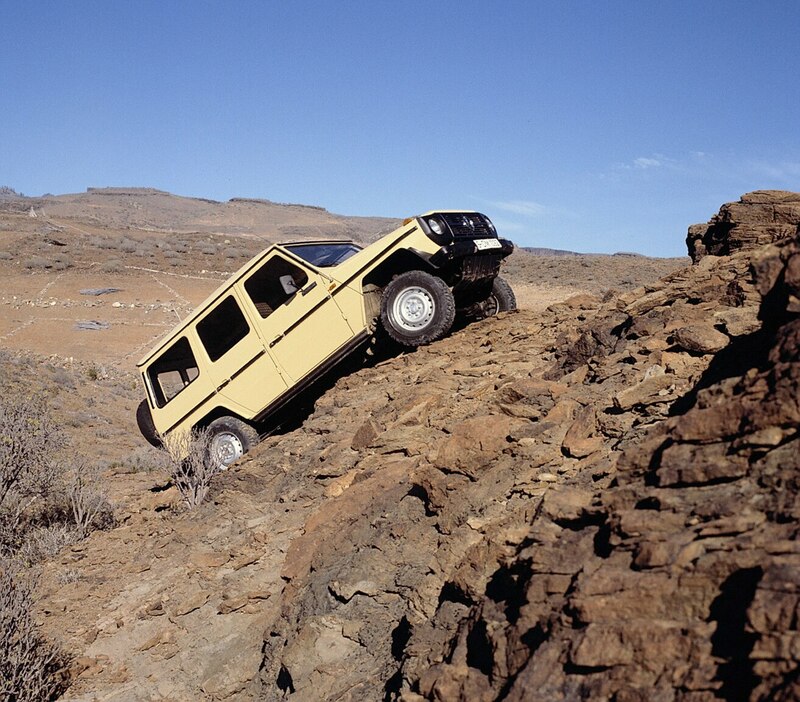 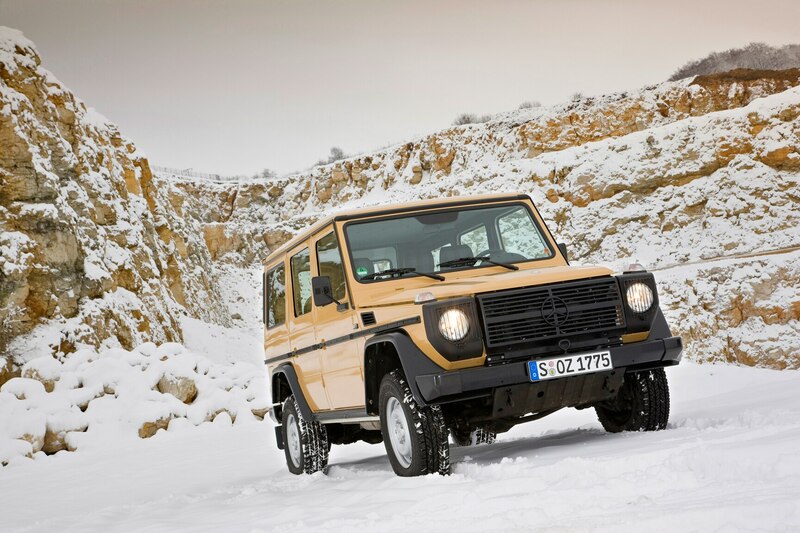 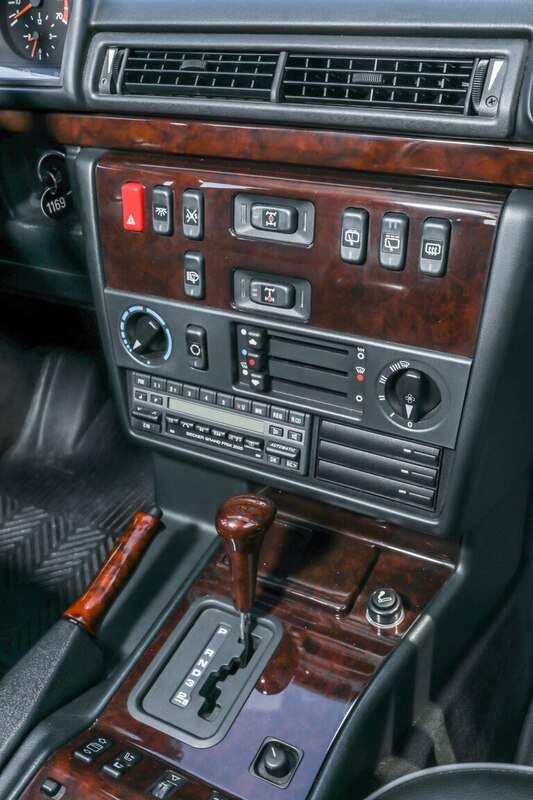 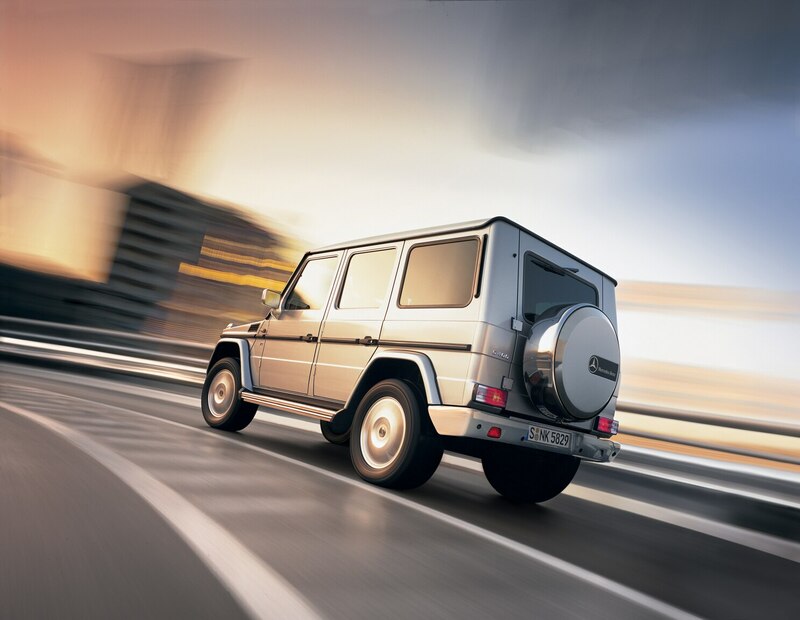 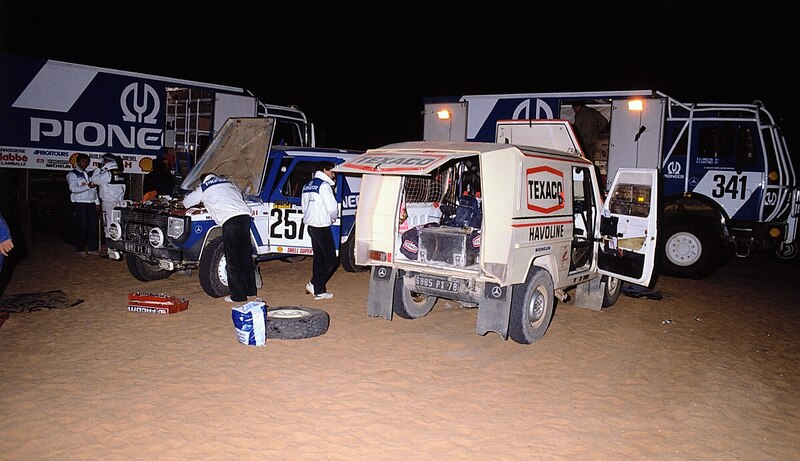 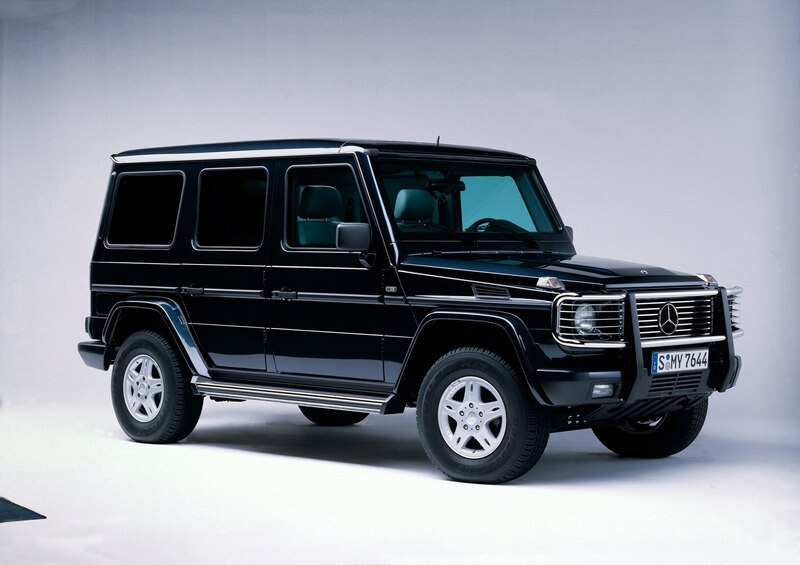 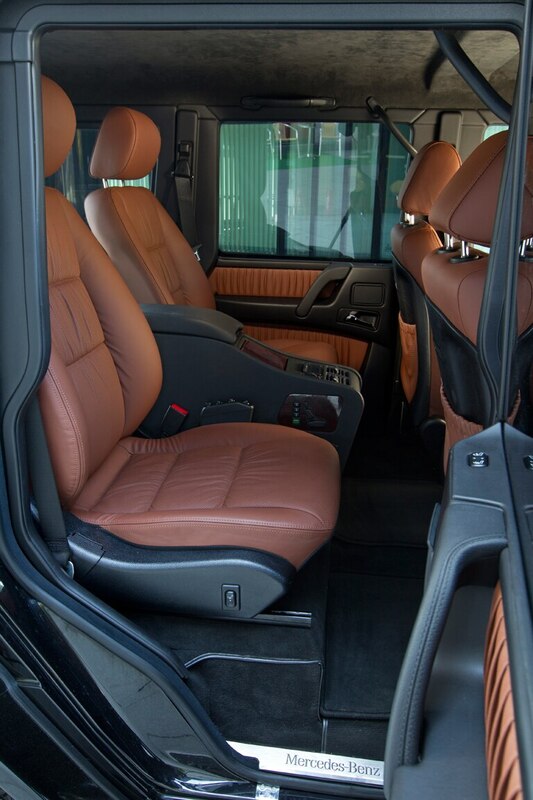 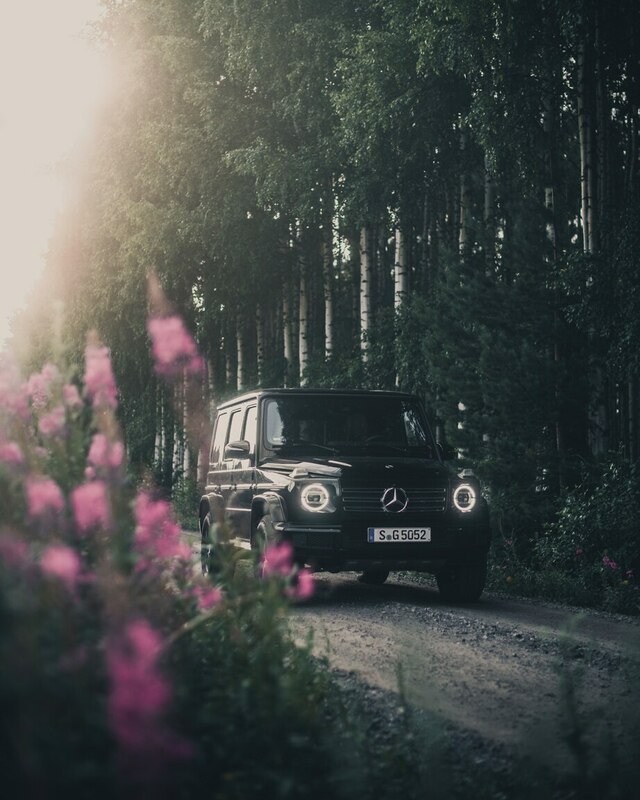 The G-wagen was first fitted with an all-wheel-drive system that featured a single center differential lock, with lockers on the front and rear axles first being optional and eventually made standard in 1985. 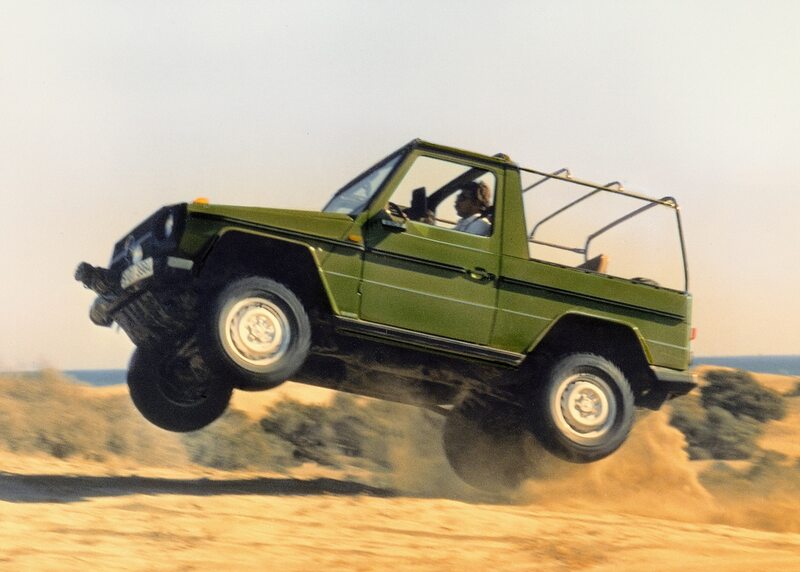 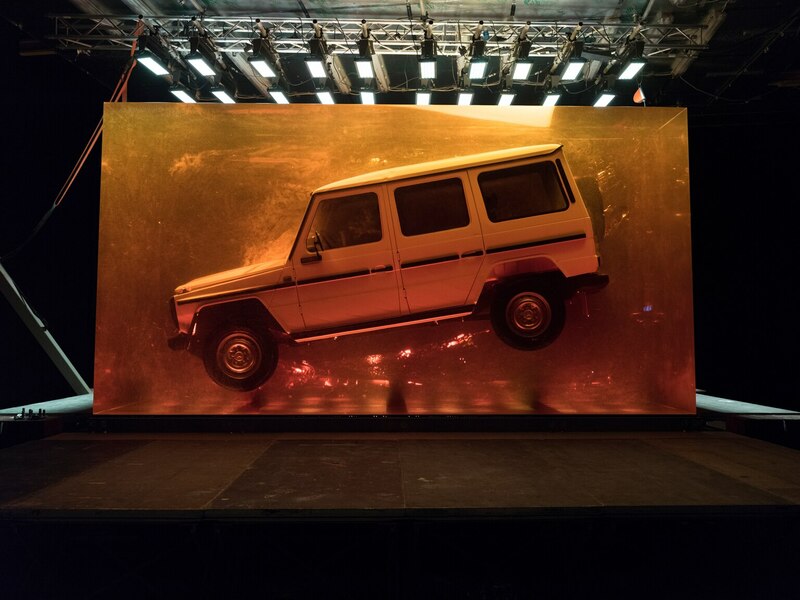 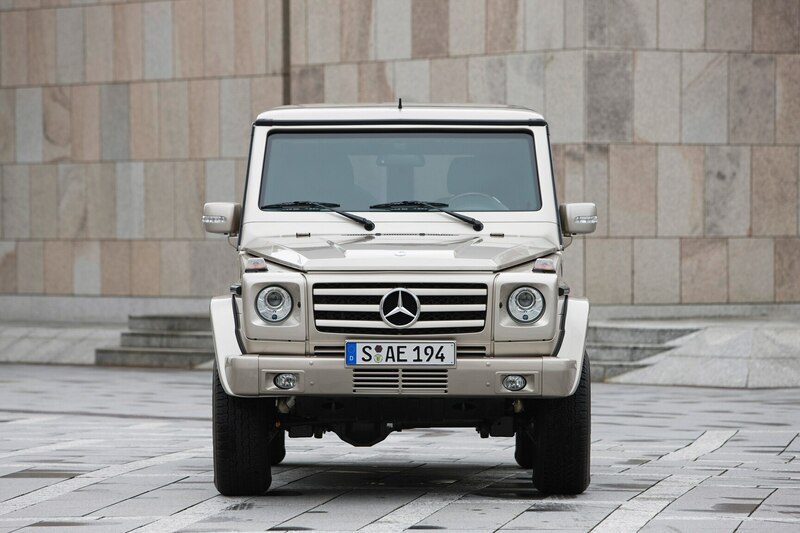 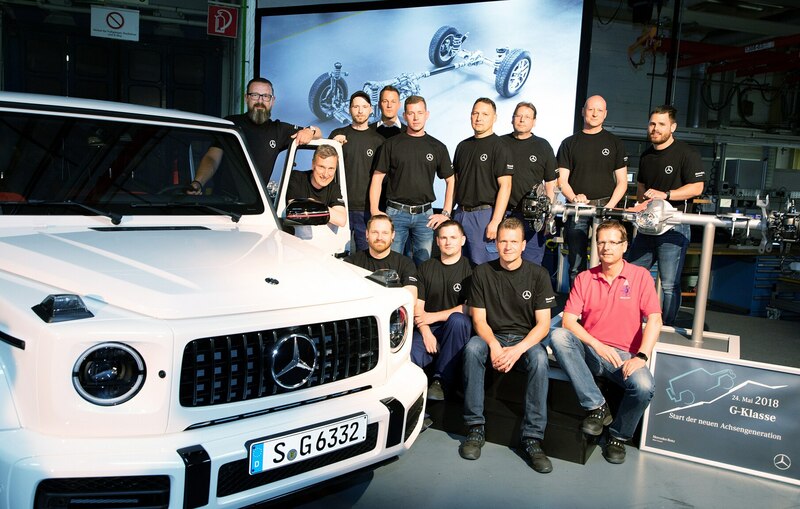 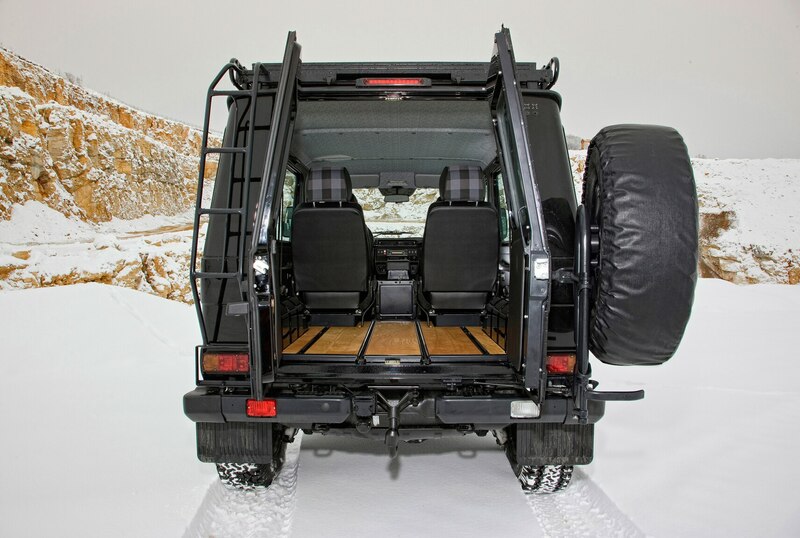 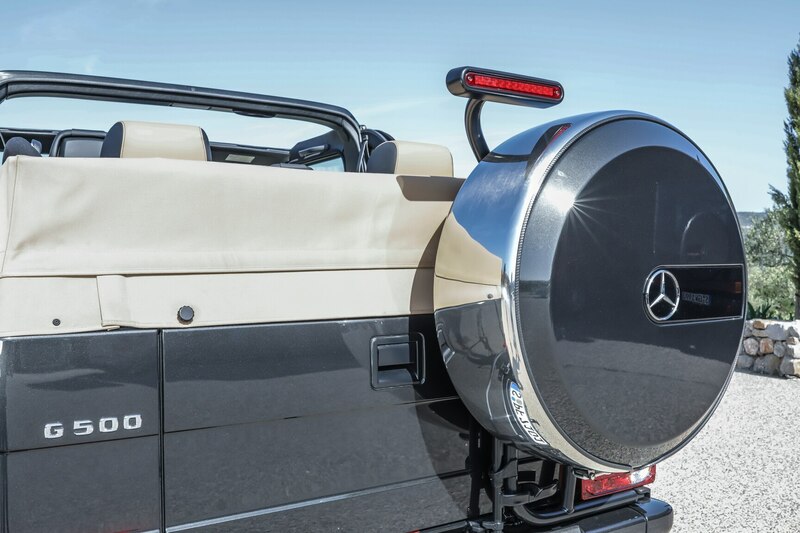 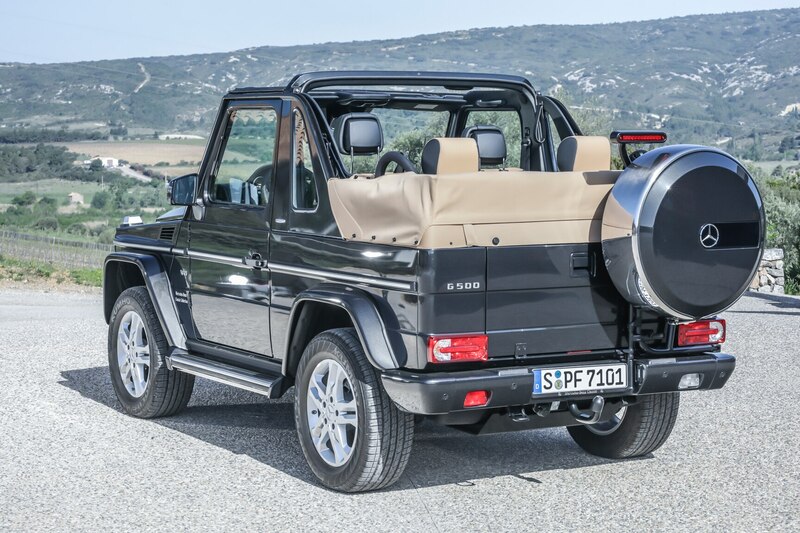 The chassis featured solid front and rear axles and recirculating-ball steering, and it stayed that way until, well, the arrival of the new G-class. 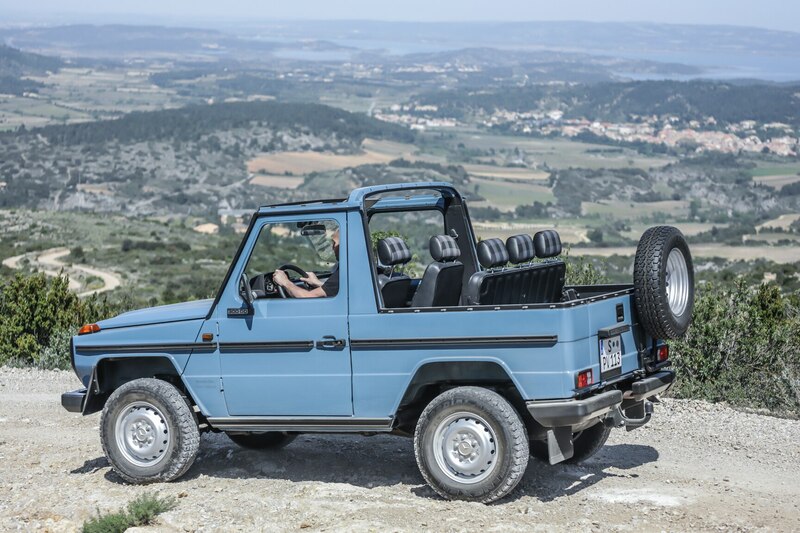 It still has a rigid rear axle but now features an independent front suspension and rack-and-pinion steering. 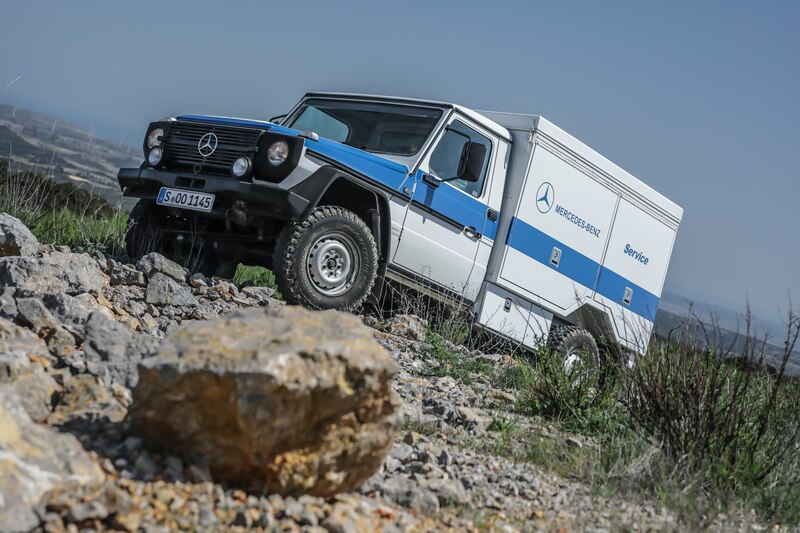 It can still bash boulders with the best of them, but its on-road refinement and handling aptitude have increased immensely. 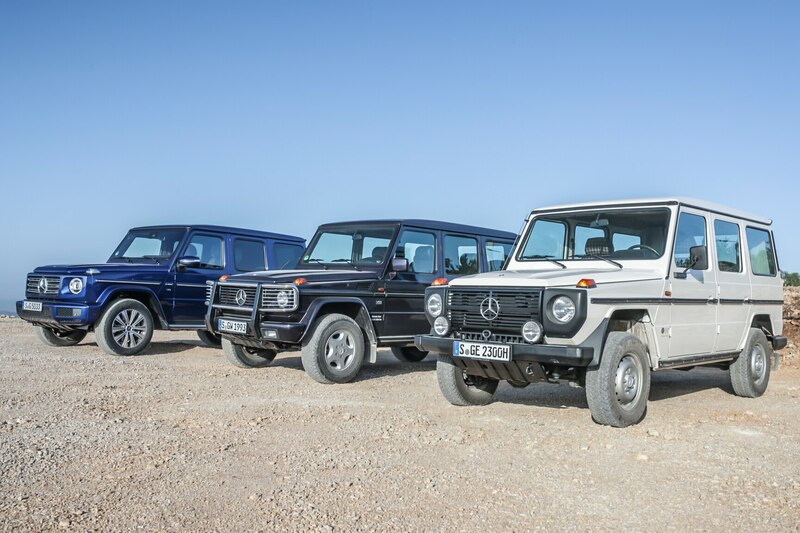 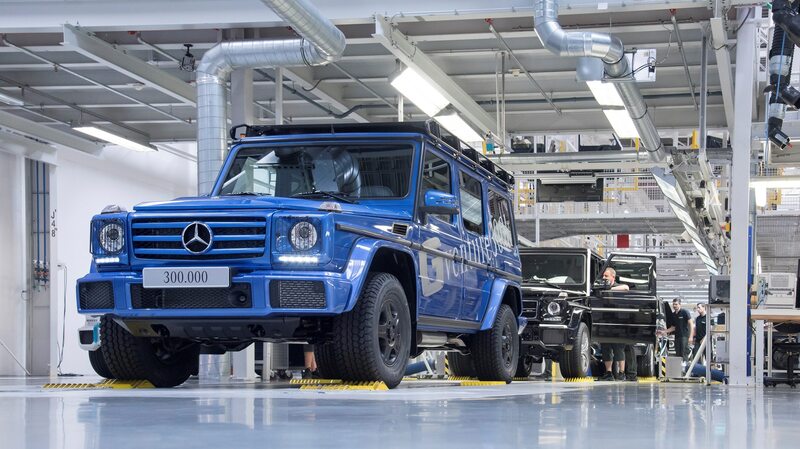 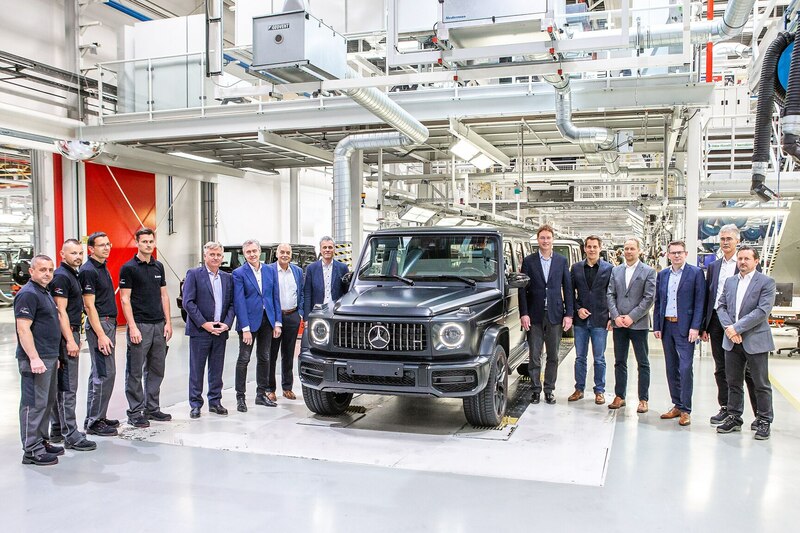 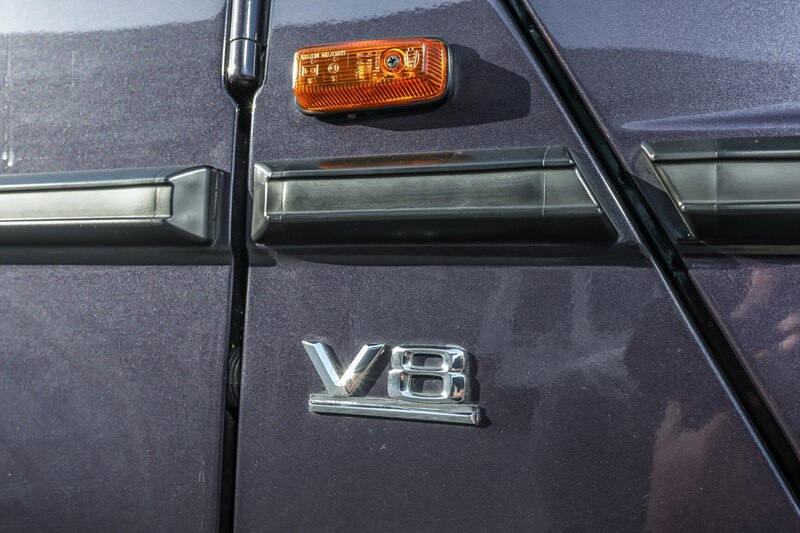 Over the years, gas and diesel powerplant options have included six-, eight-, and even twelve-cylinder variants, and, in 2017, the 300,000th G-class rolled off the line. 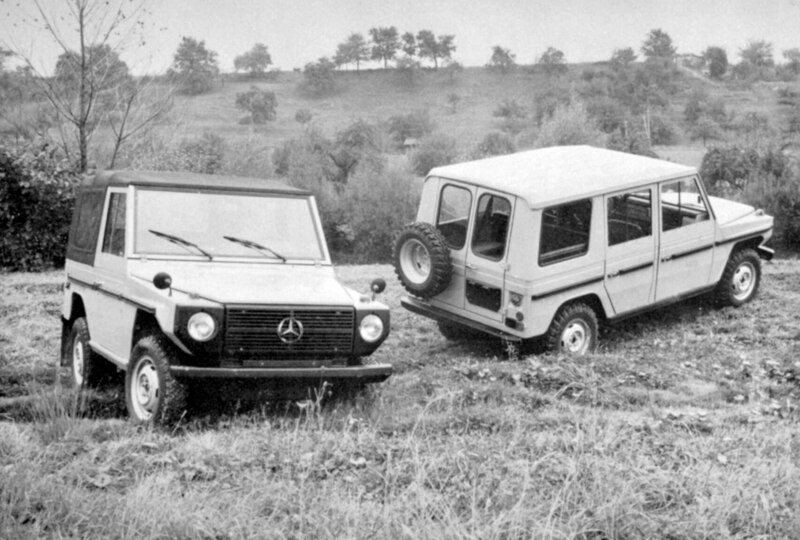 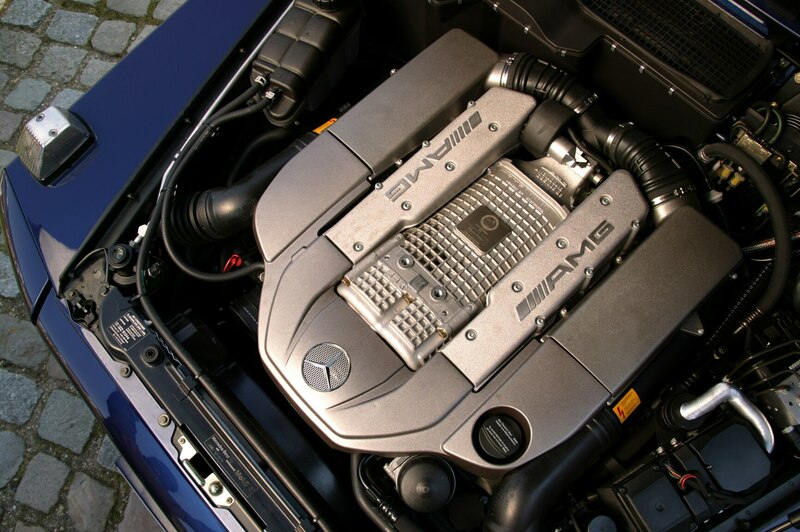 An increasing number of those have been the insane AMG models, with tons of power and brasher aesthetics. 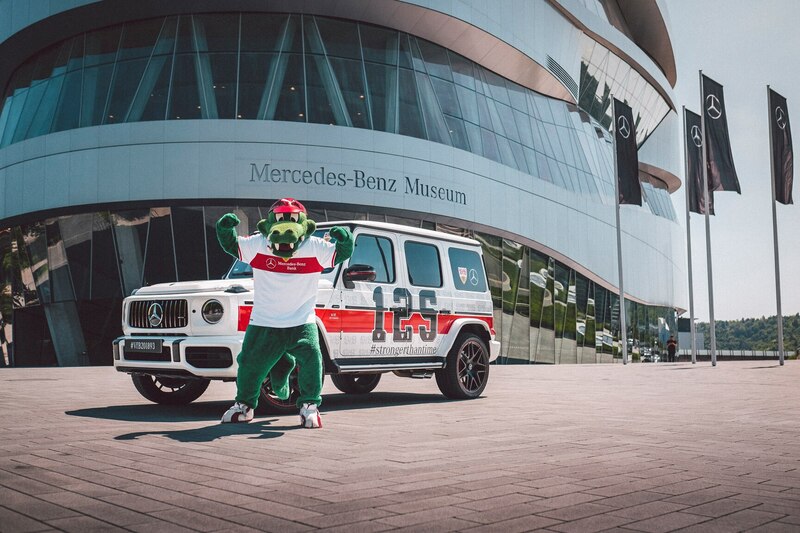 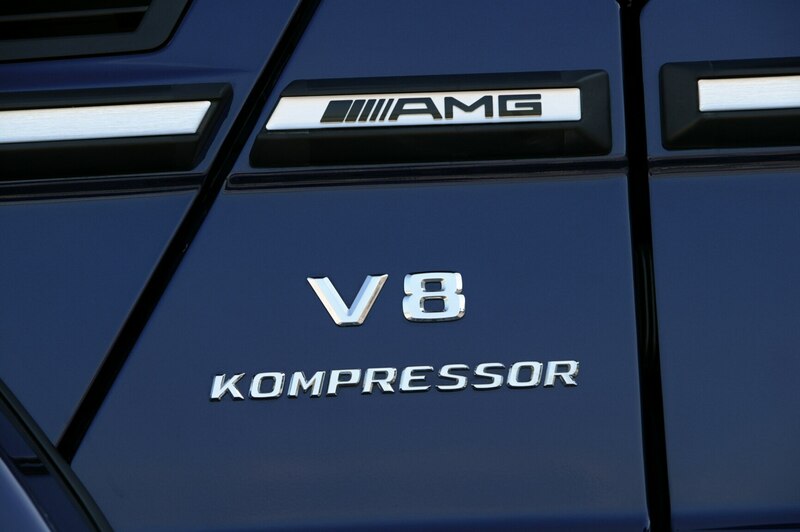 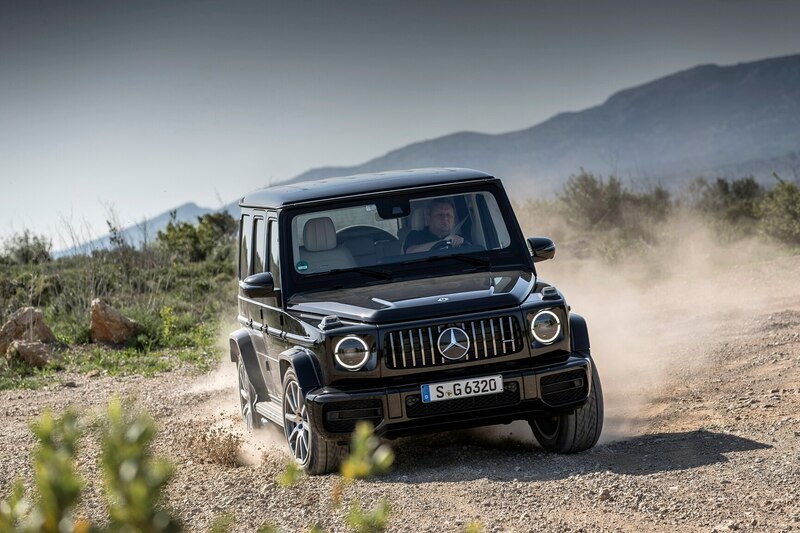 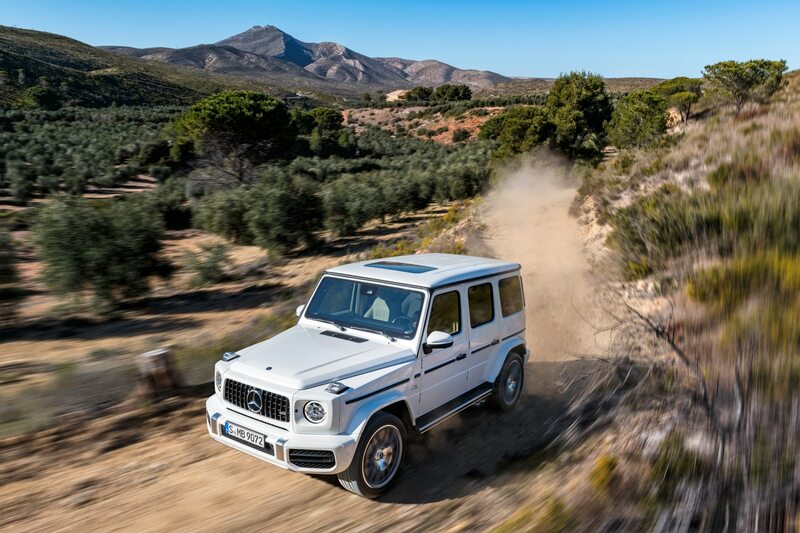 The latest Mercedes-AMG G63, for example, packs a 4.0-liter twin-turbo V-8 engine that offers 577 horsepower and 627 lb-ft of torque and can power the big box to 60 mph in 4.4 seconds. 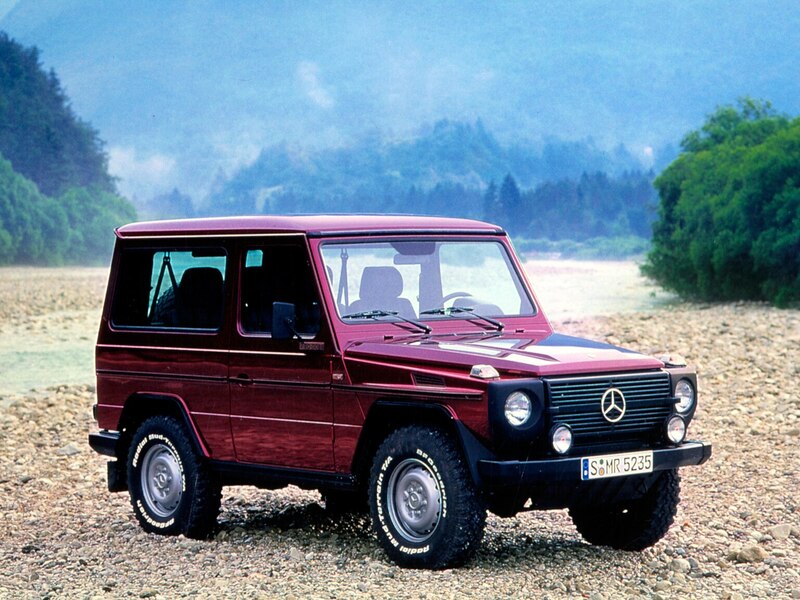 Happy birthday, G—you’re still great by us.